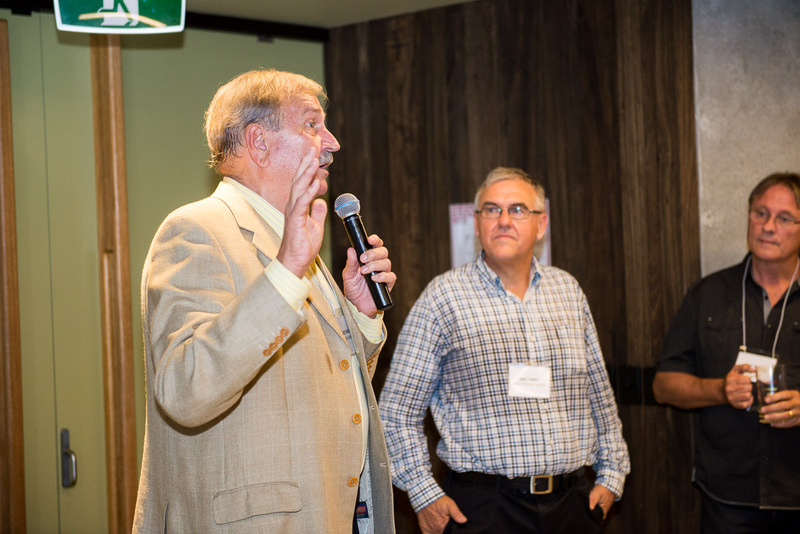 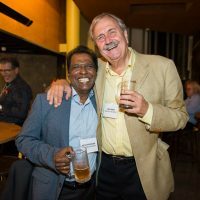 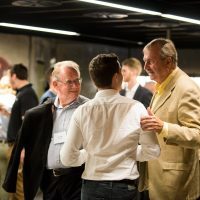 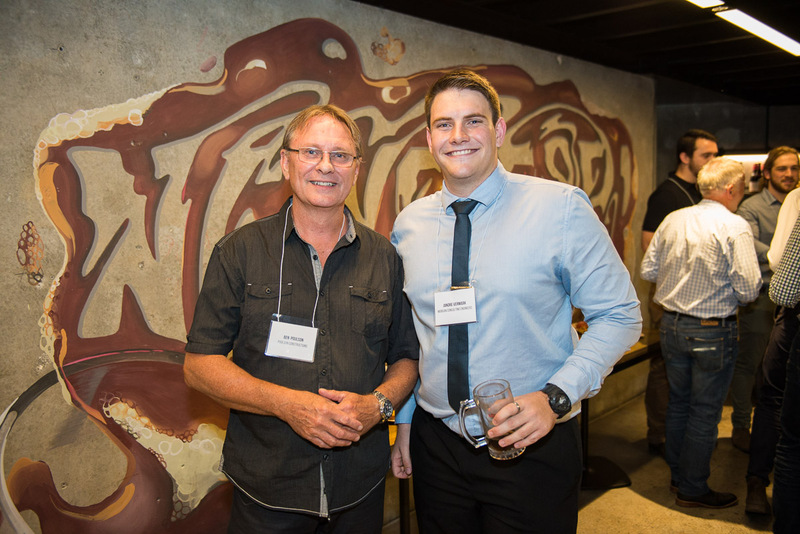 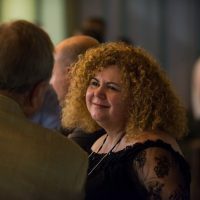 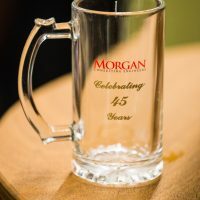 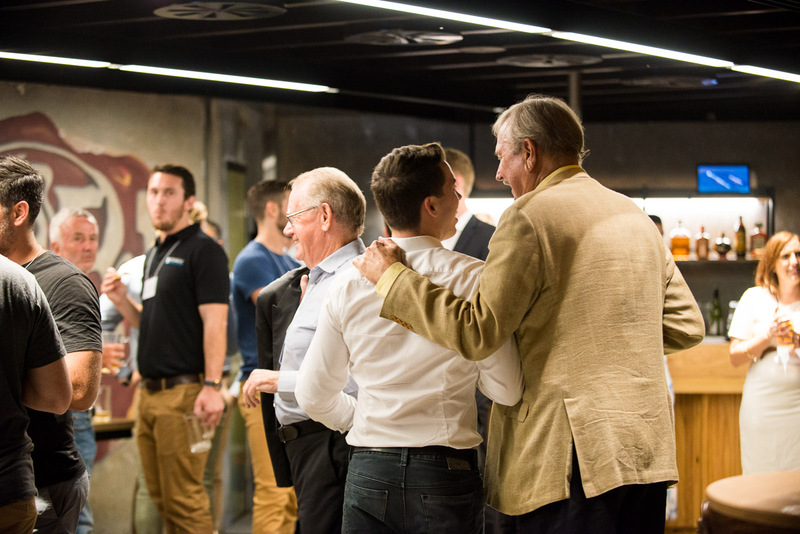 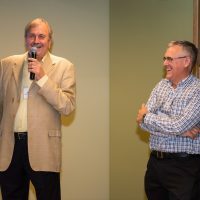 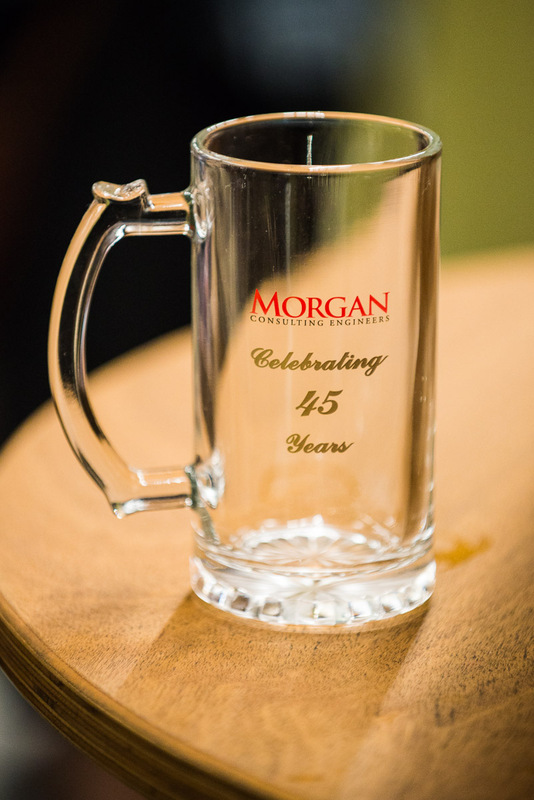 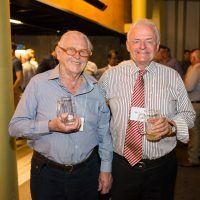 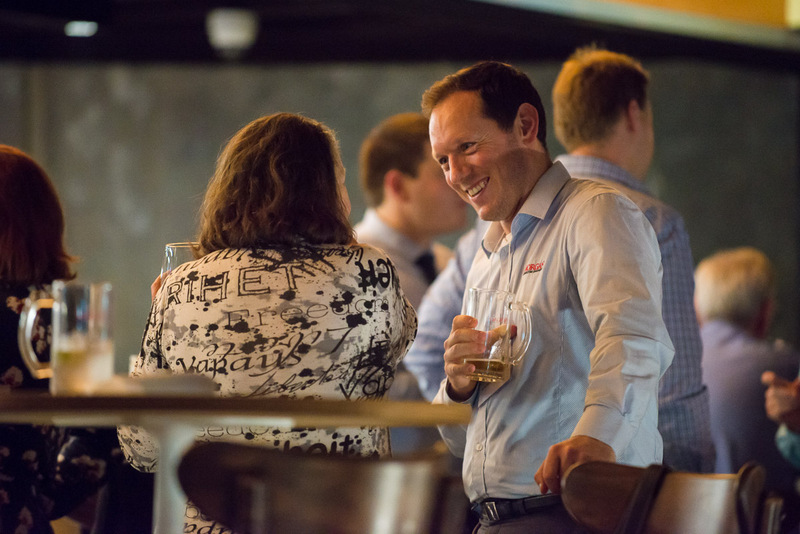 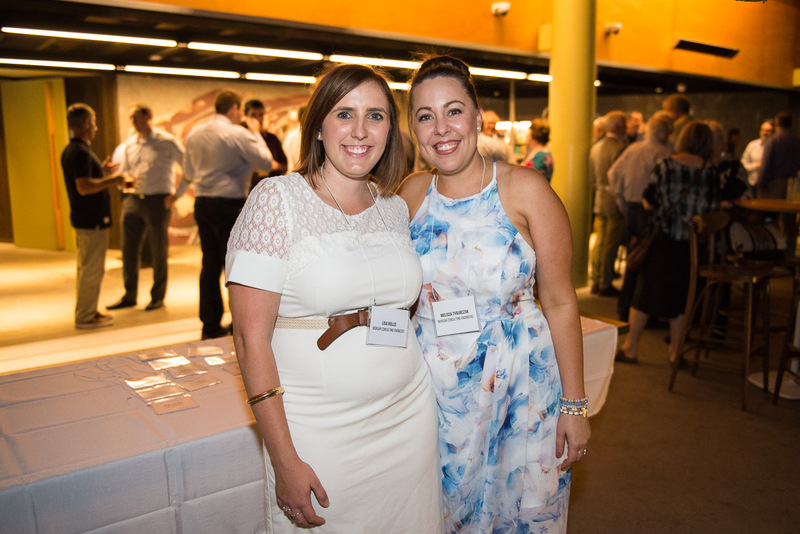 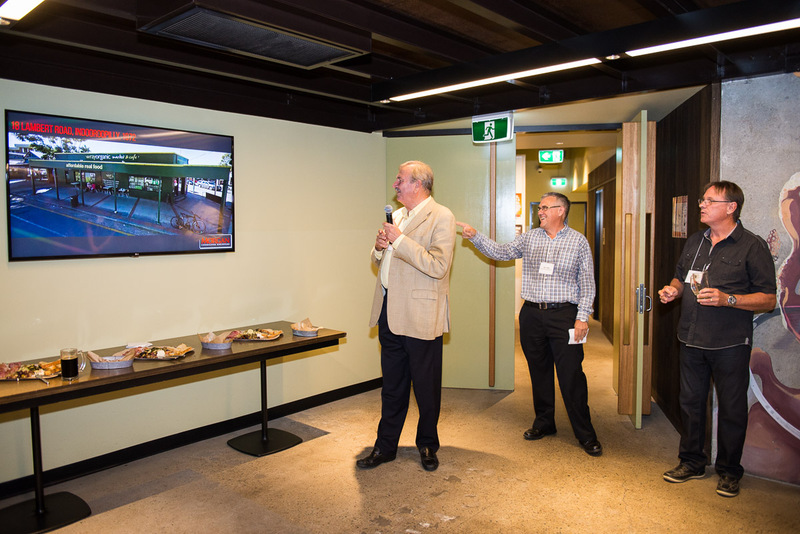 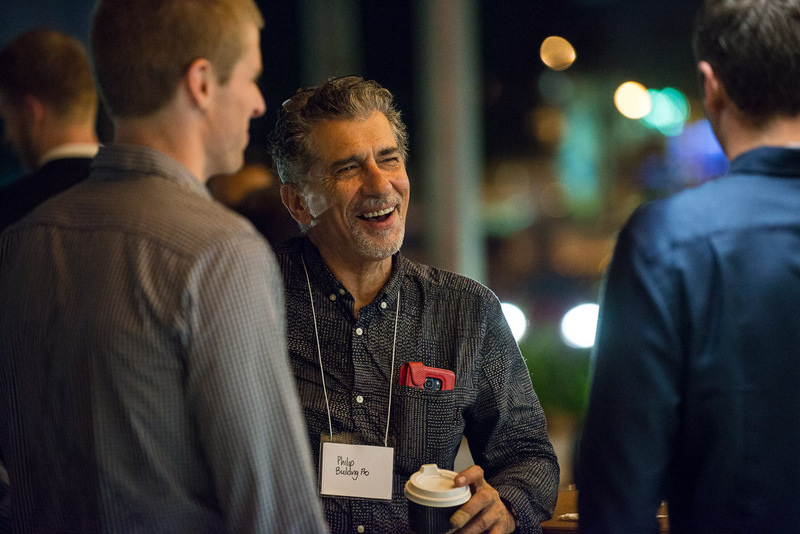 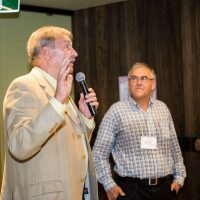 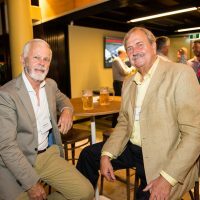 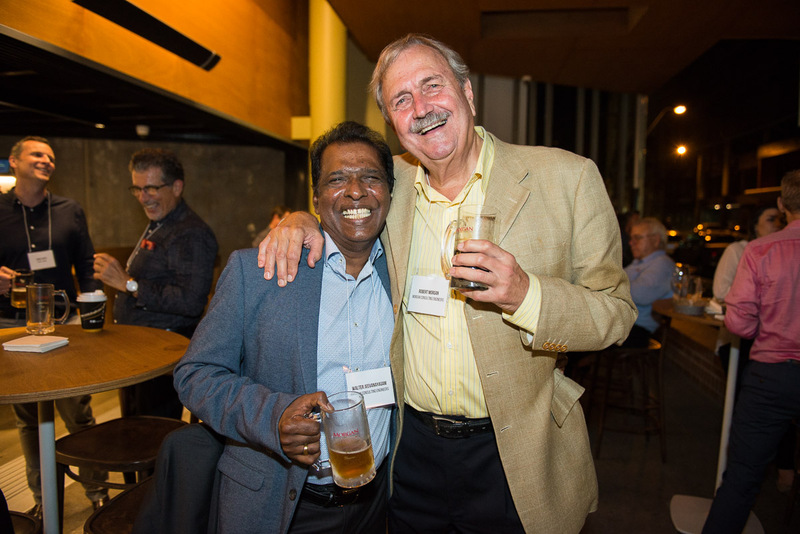 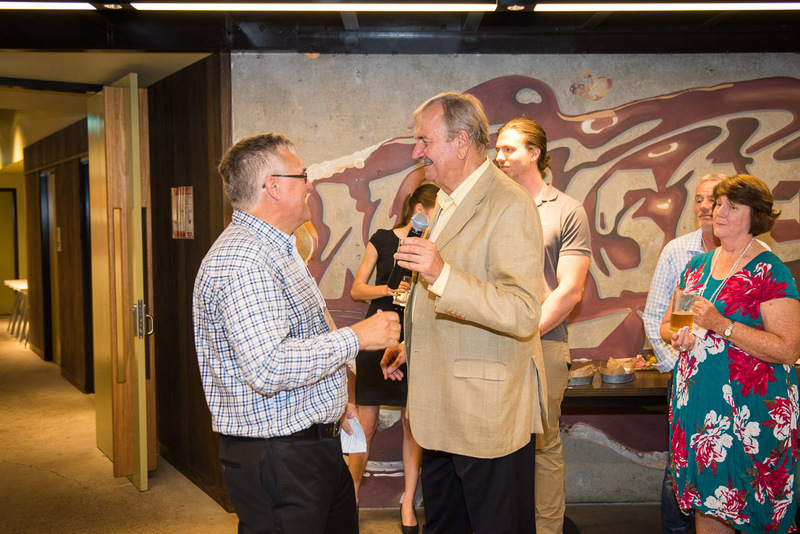 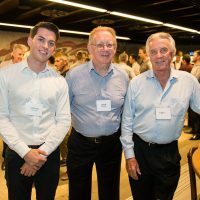 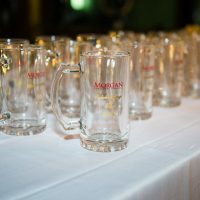 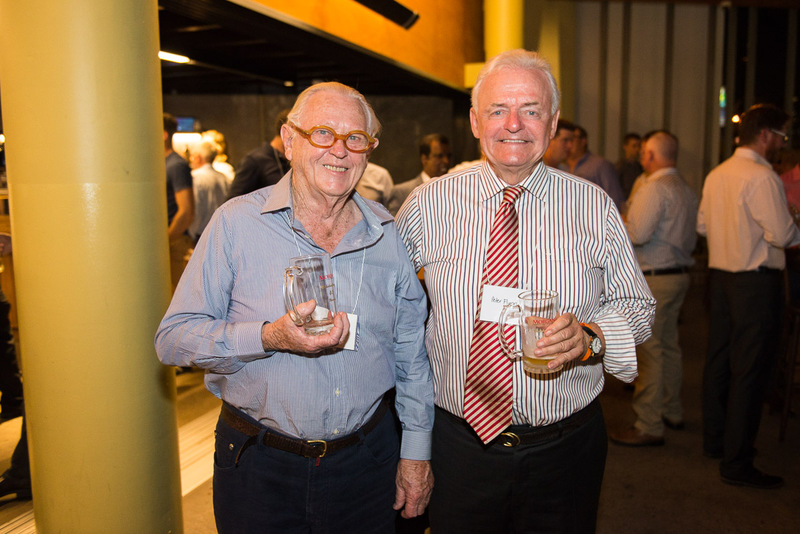 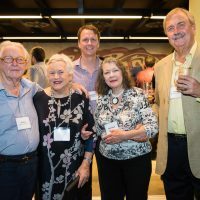 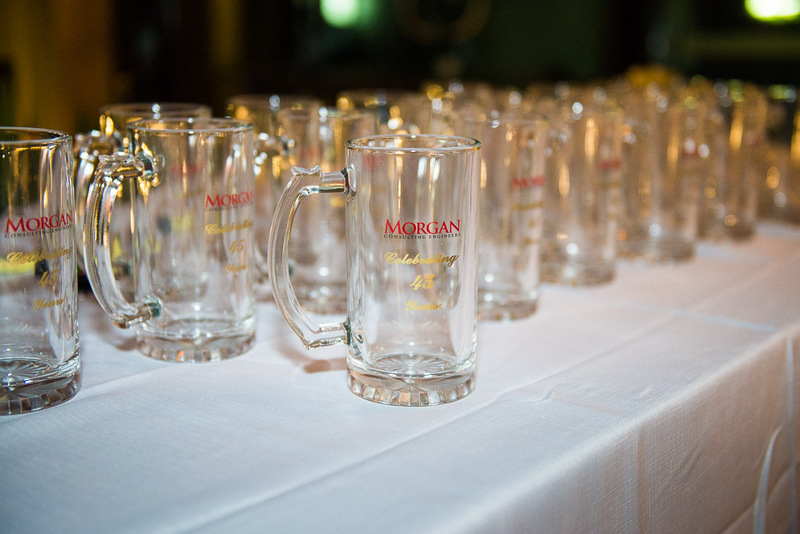 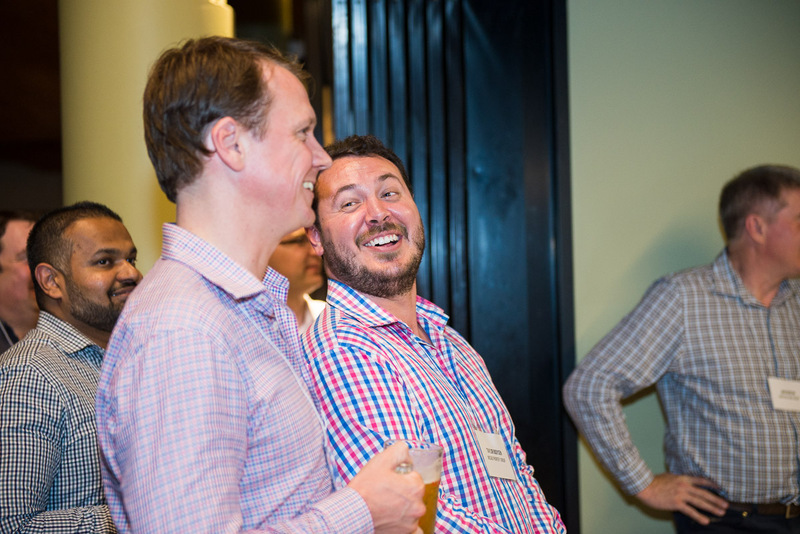 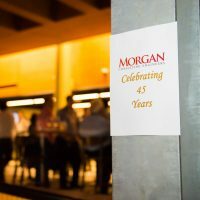 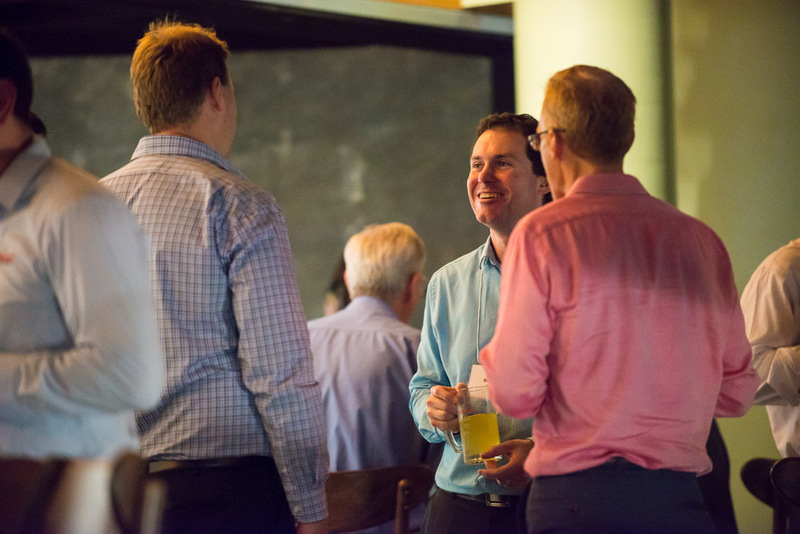 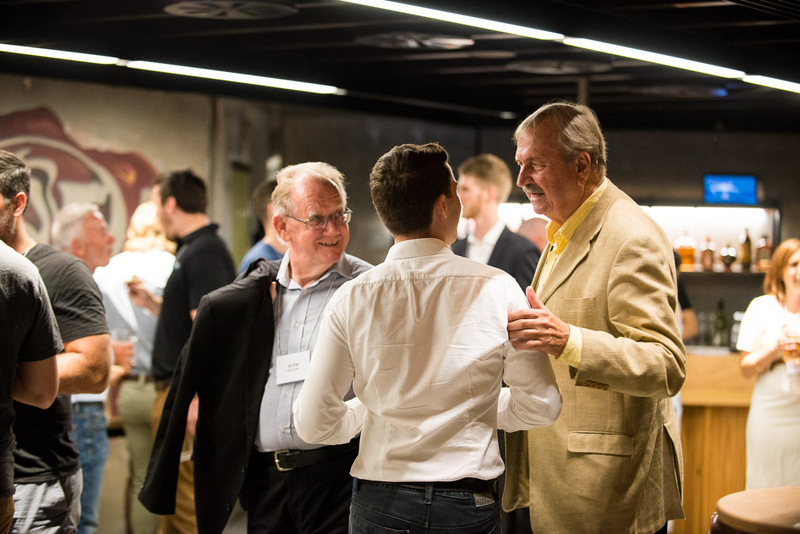 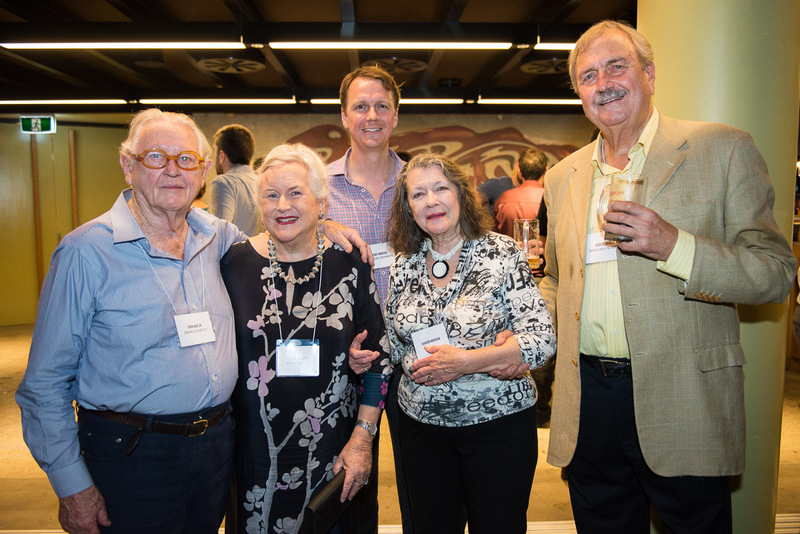 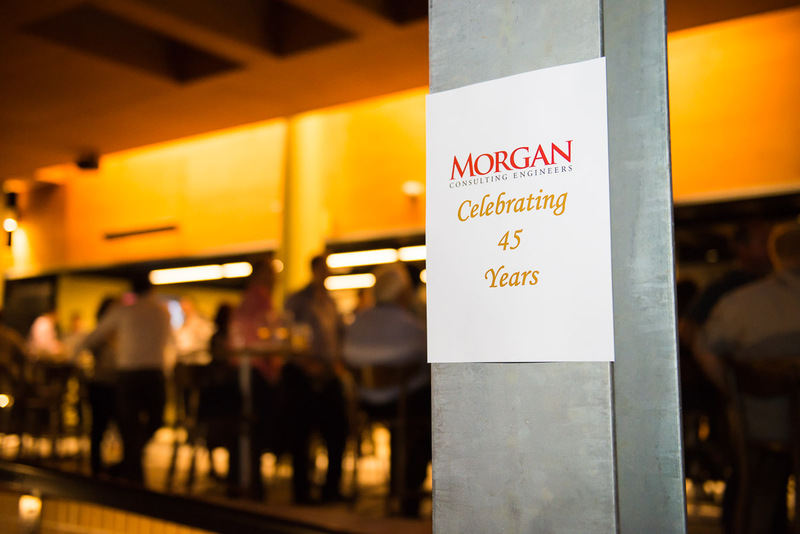 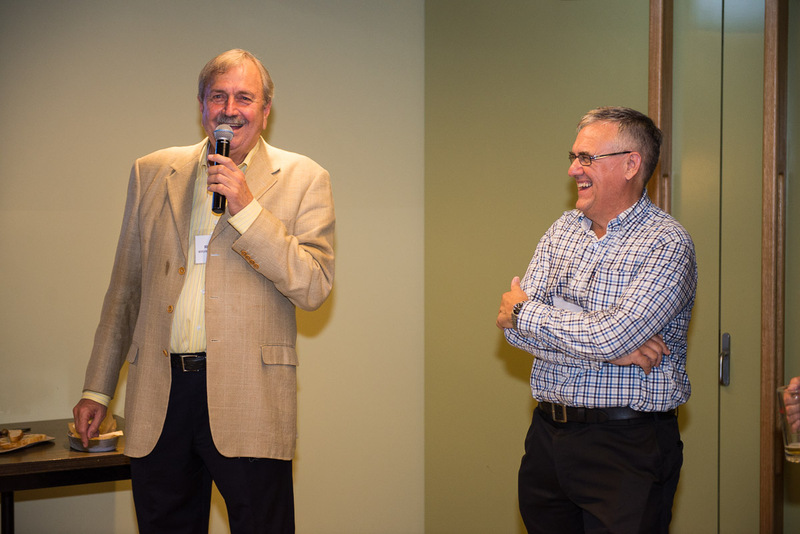 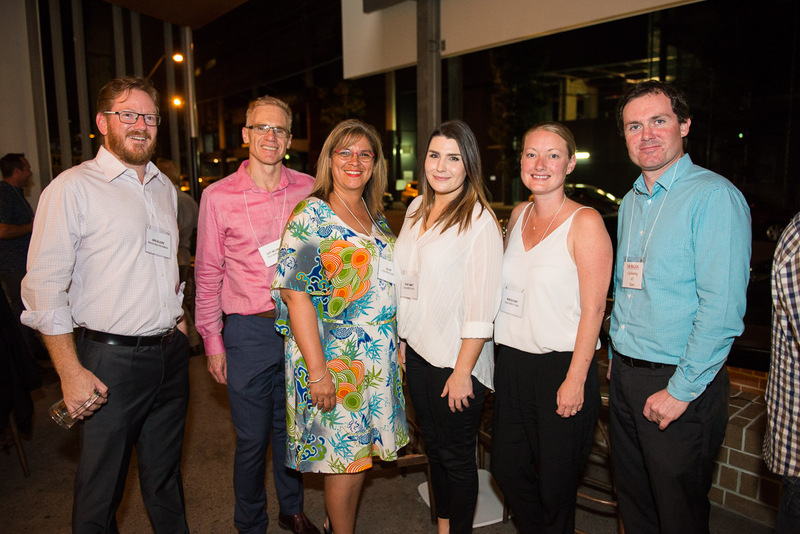 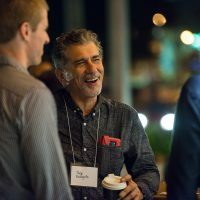 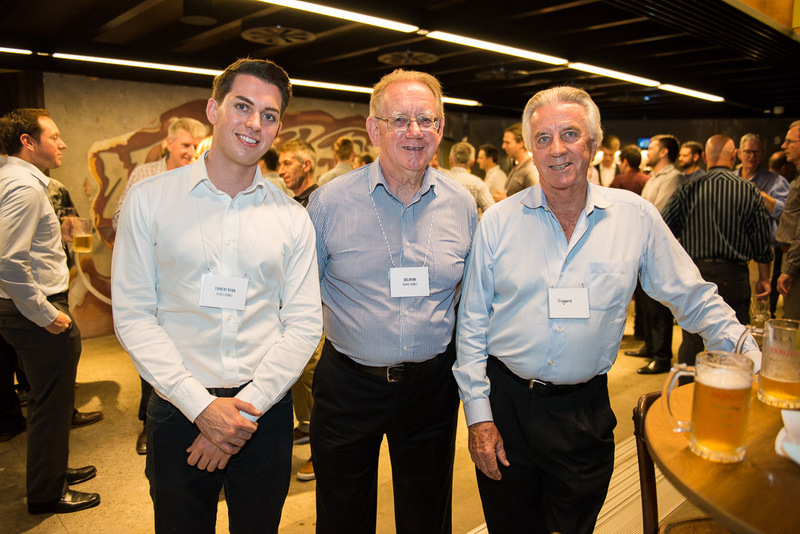 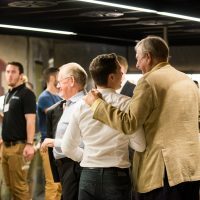 Morgan Consulting Engineers recently celebrated 45 years as consulting engineers. 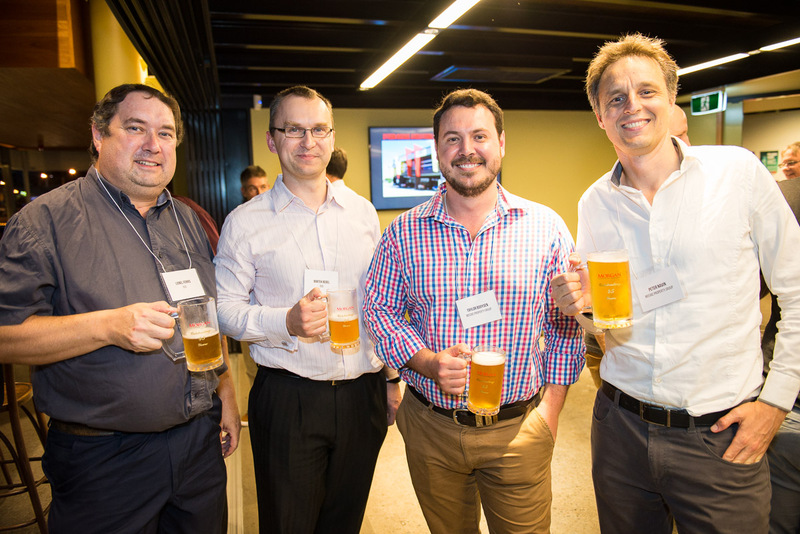 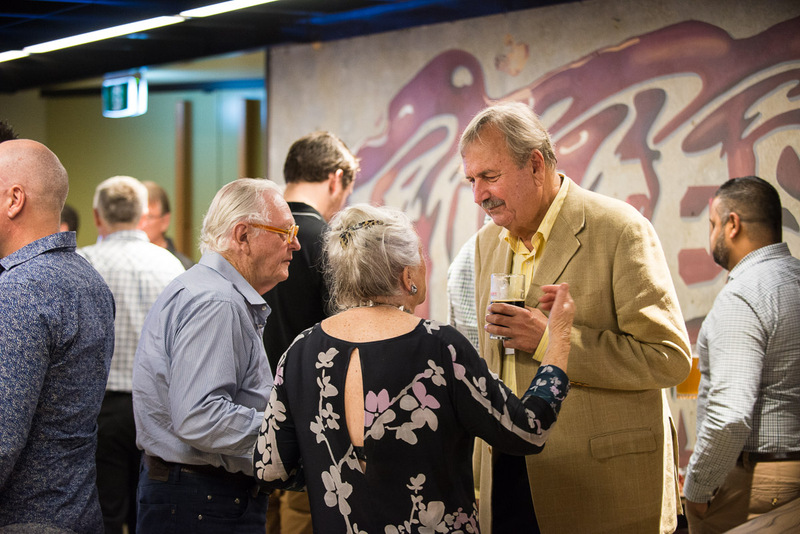 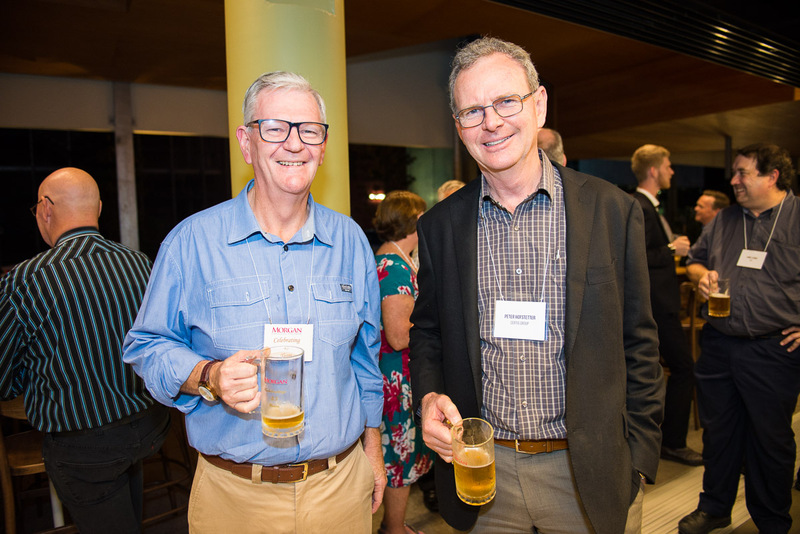 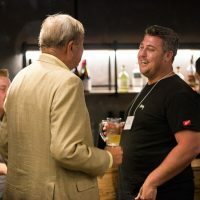 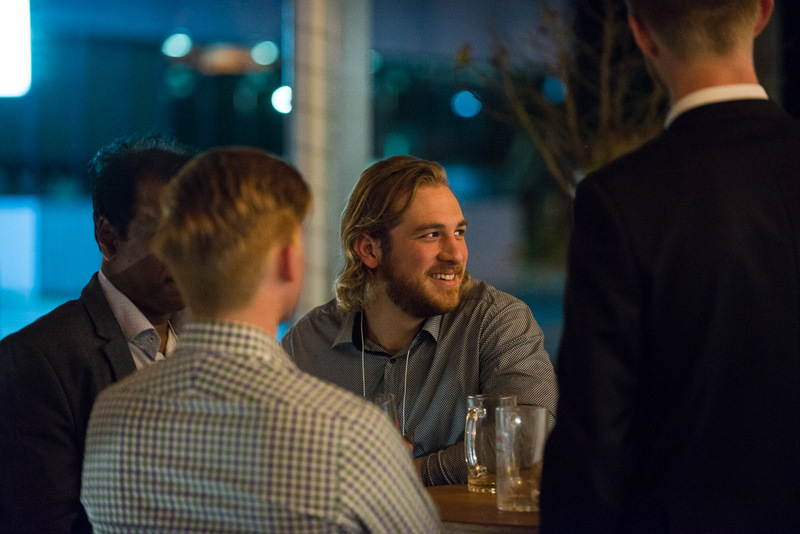 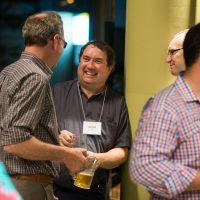 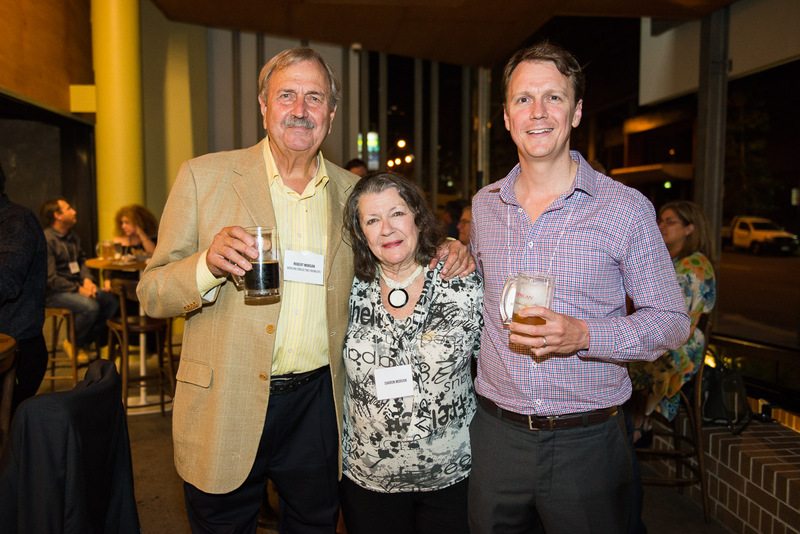 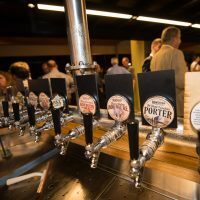 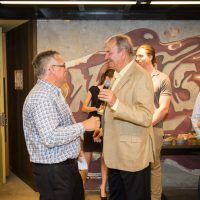 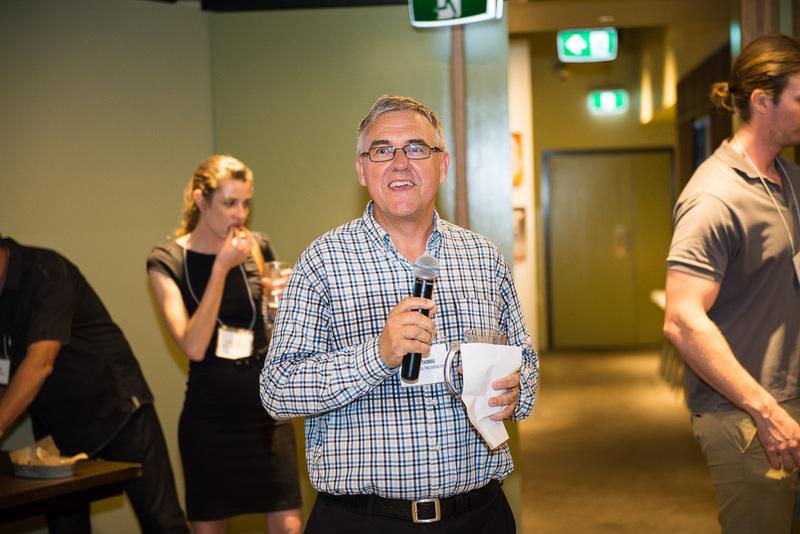 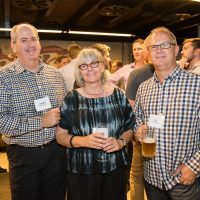 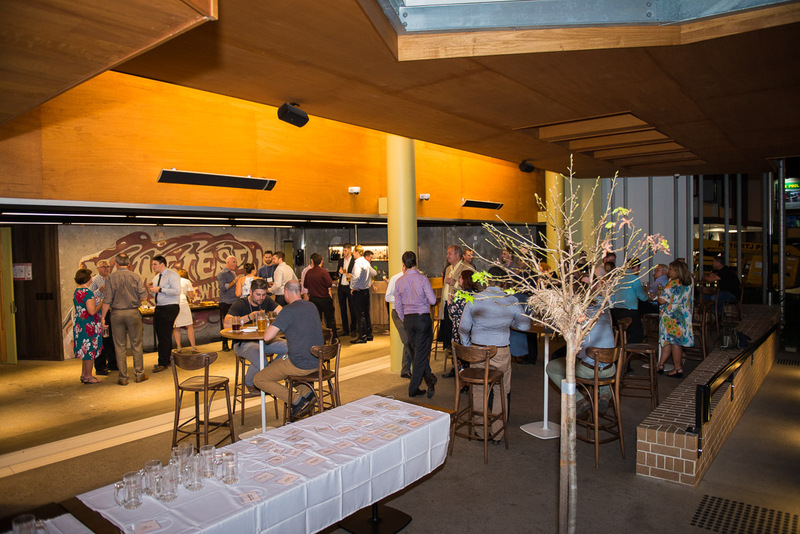 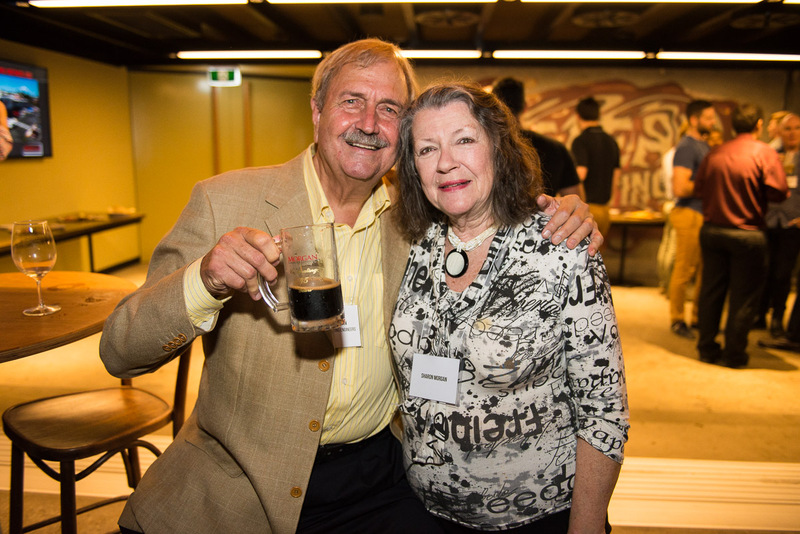 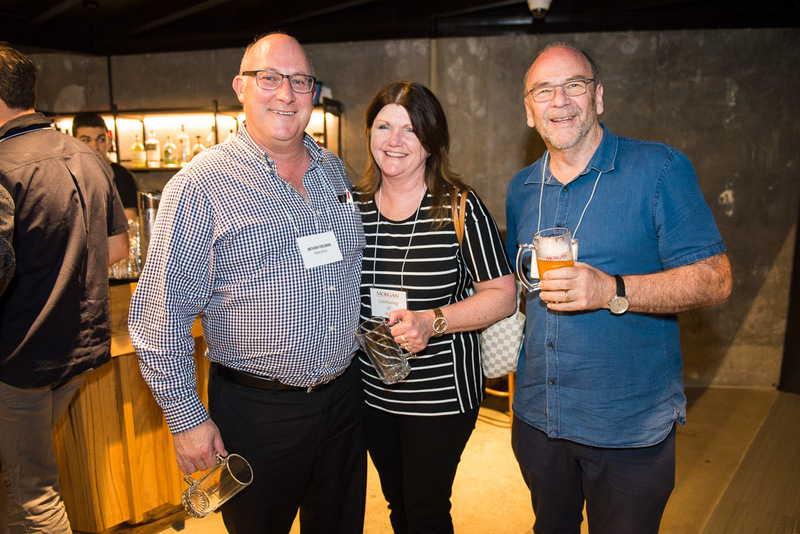 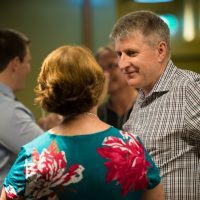 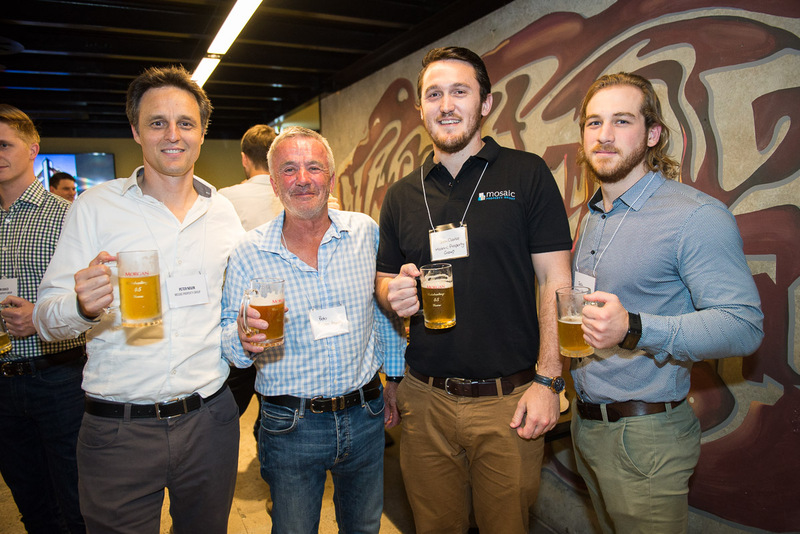 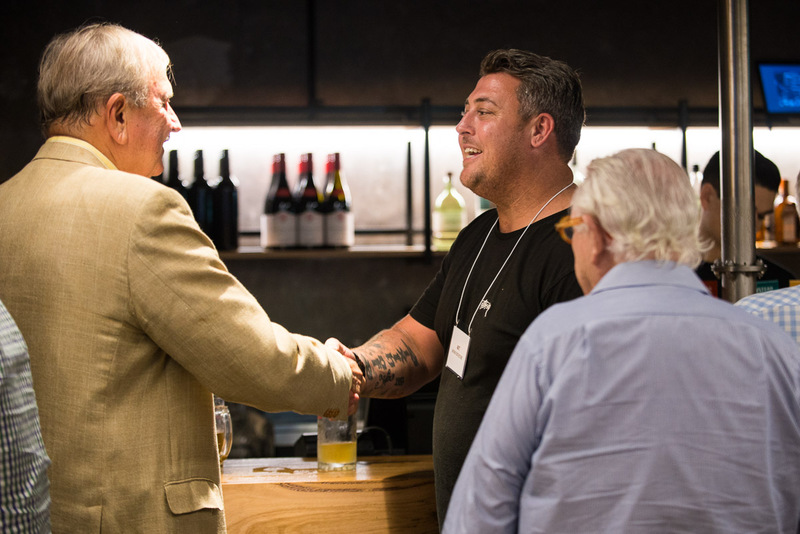 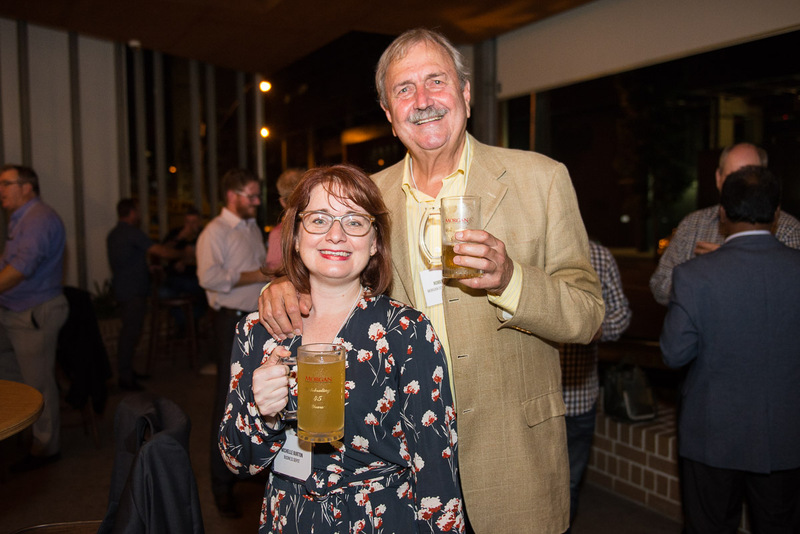 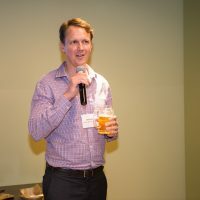 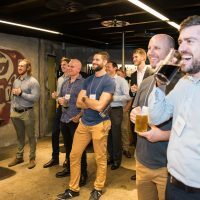 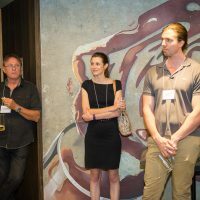 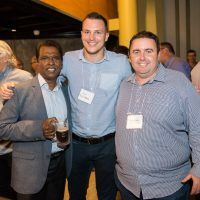 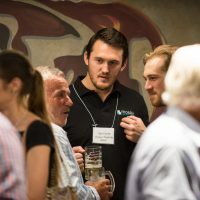 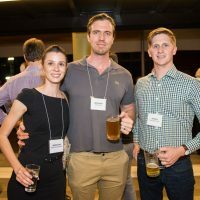 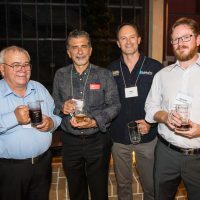 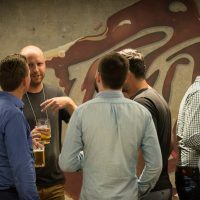 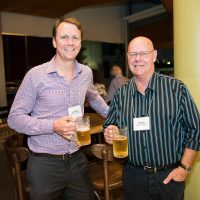 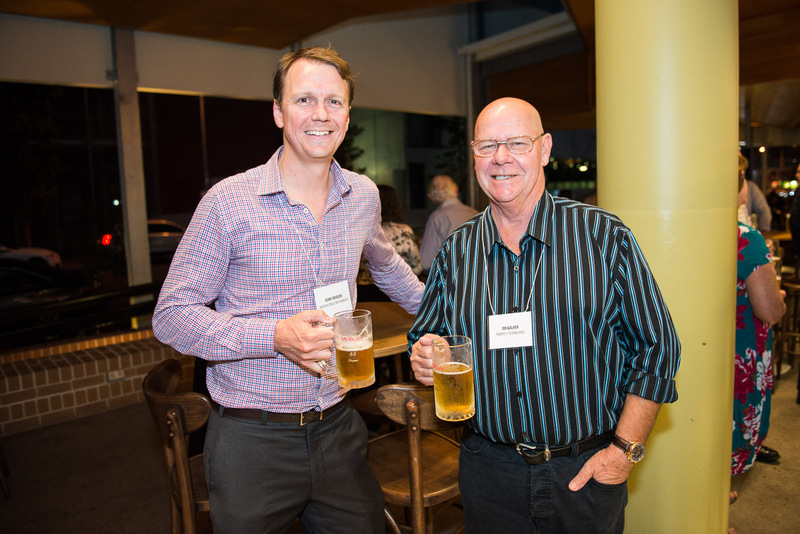 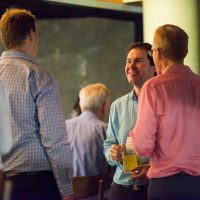 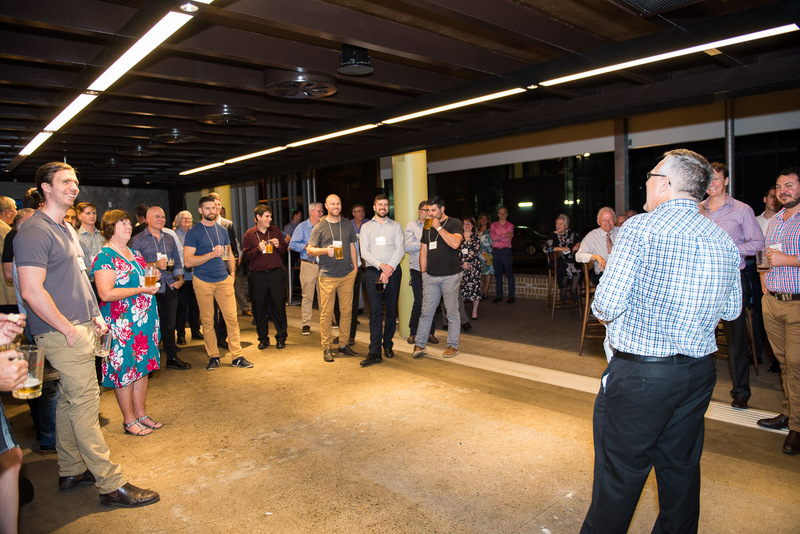 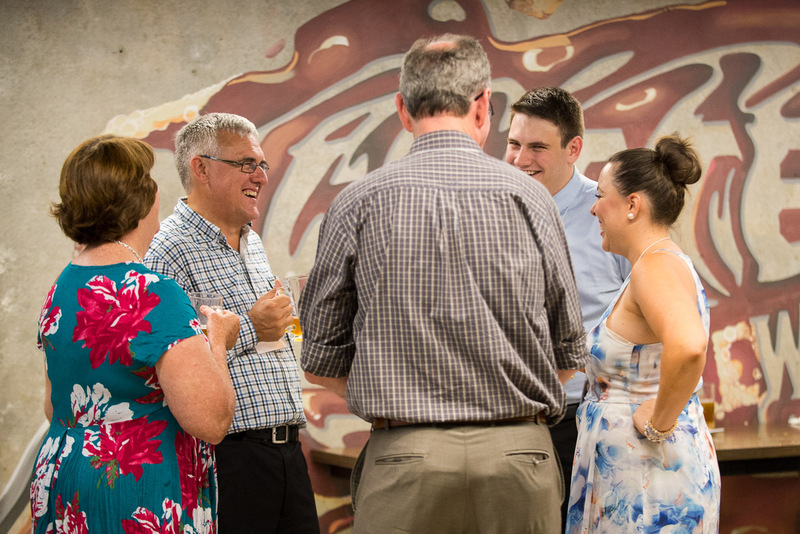 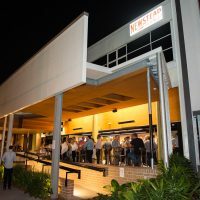 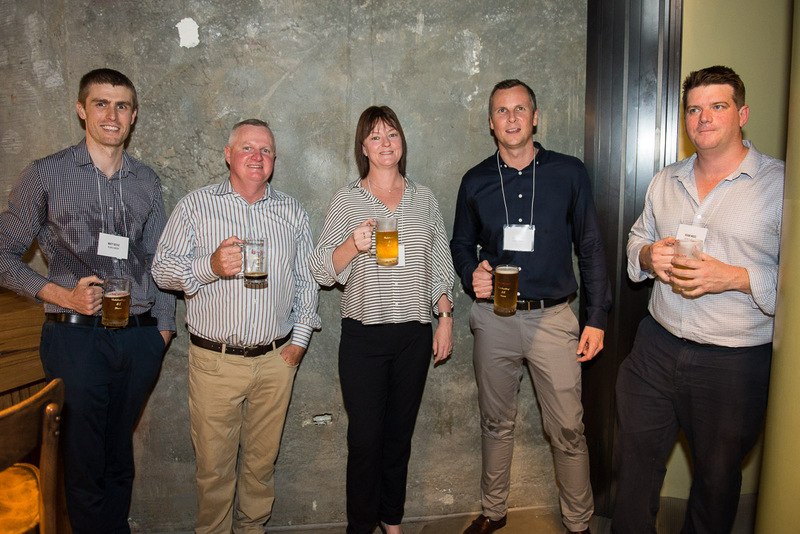 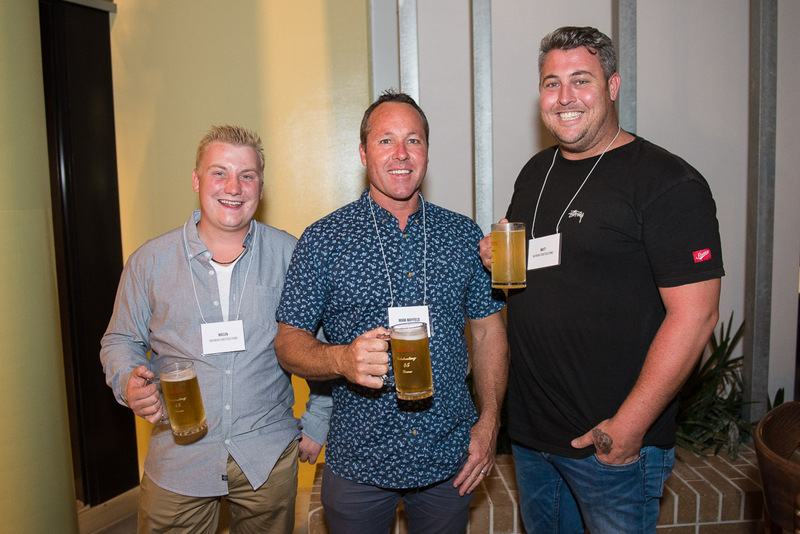 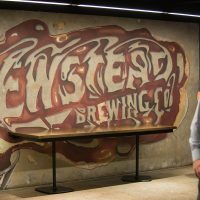 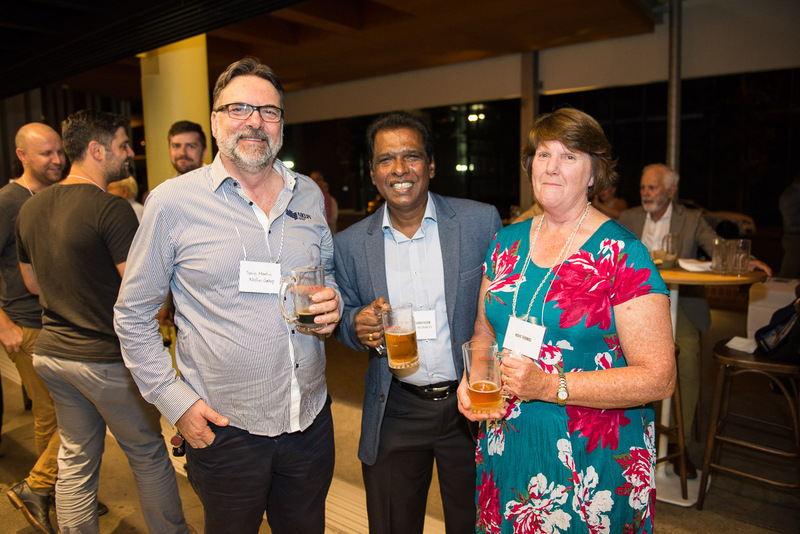 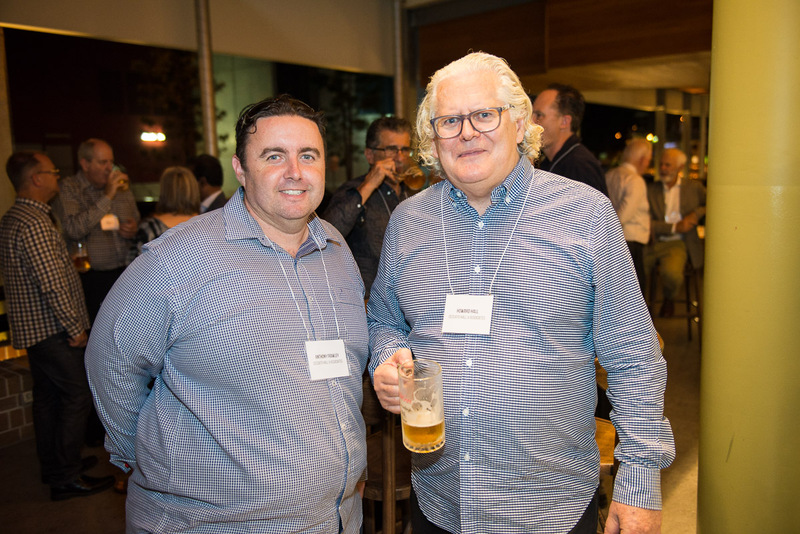 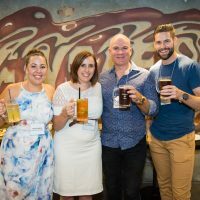 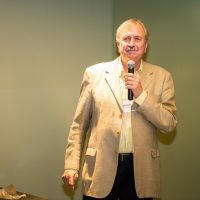 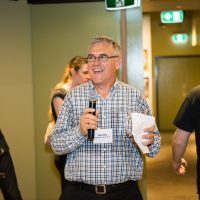 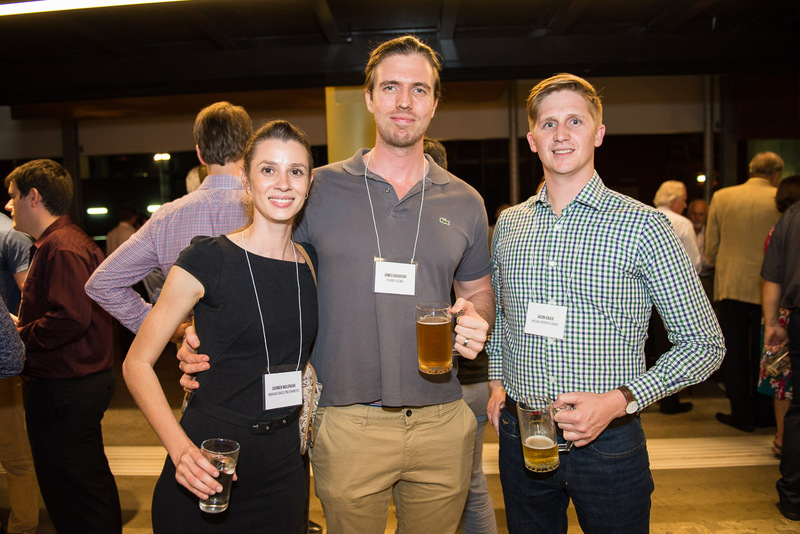 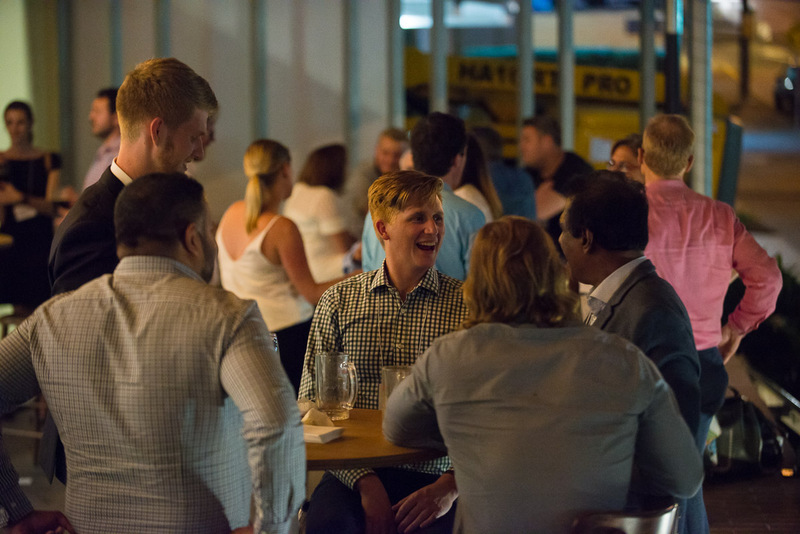 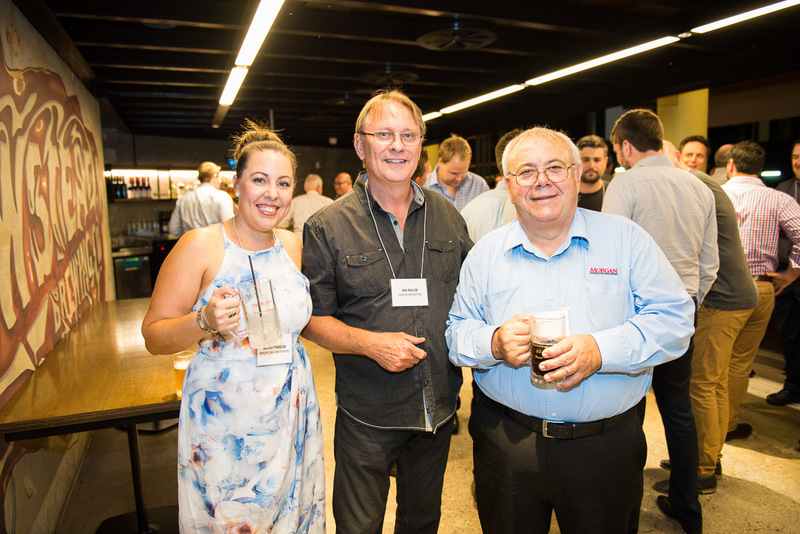 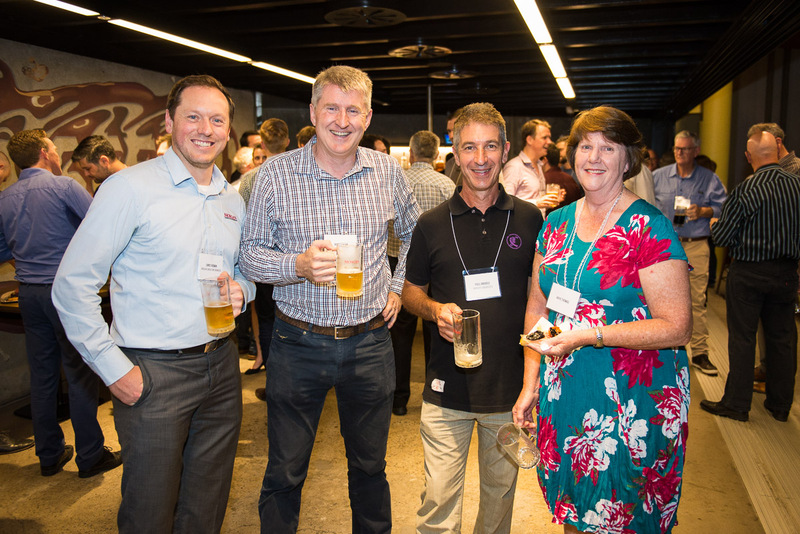 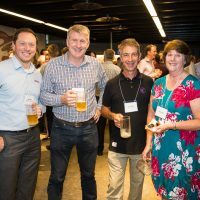 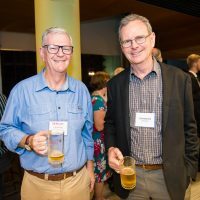 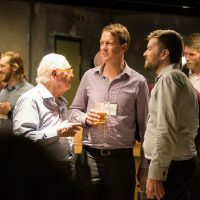 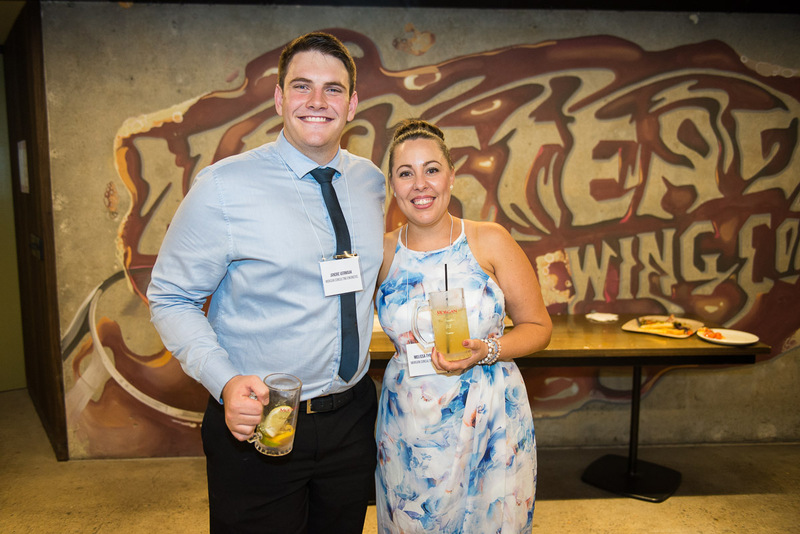 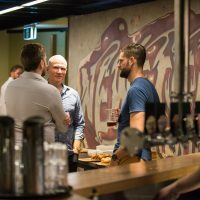 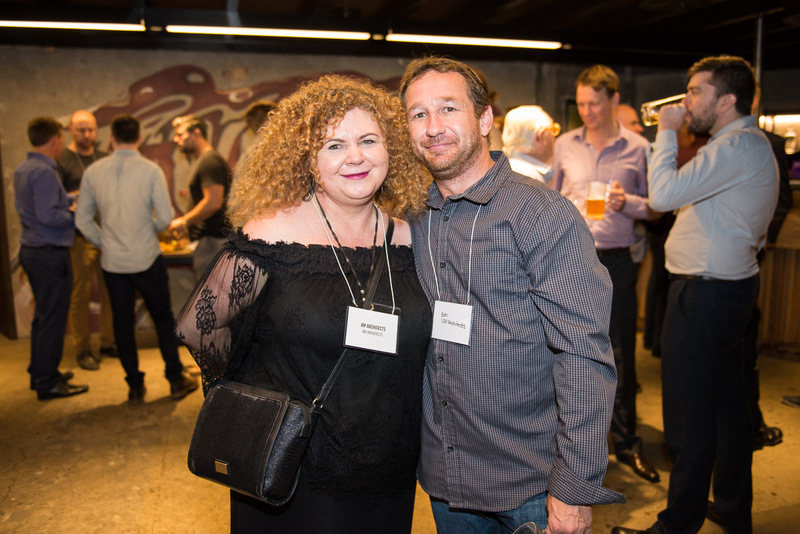 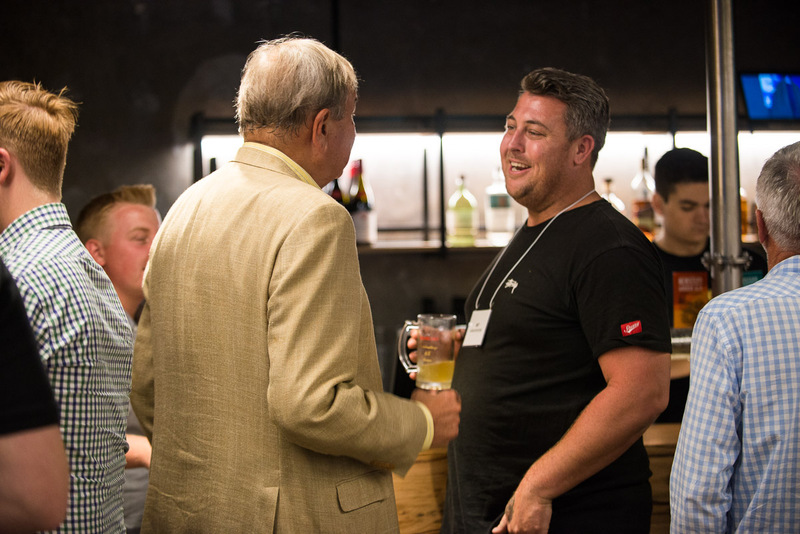 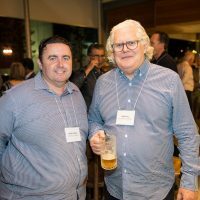 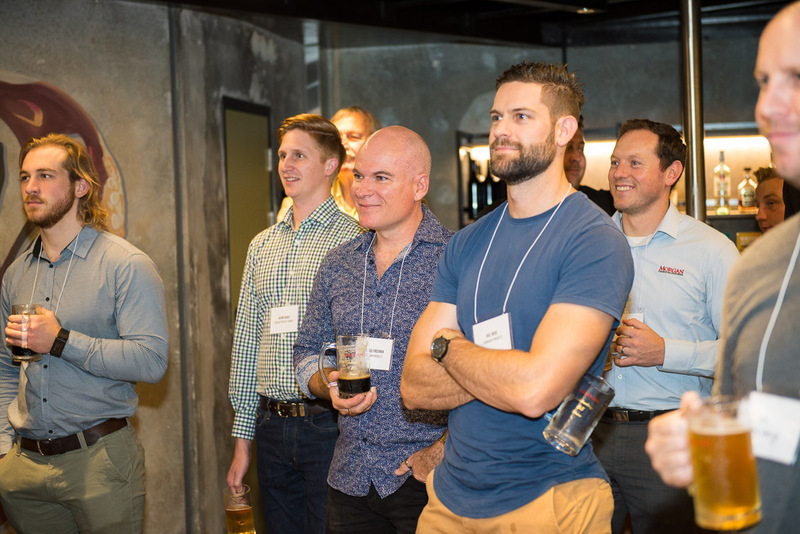 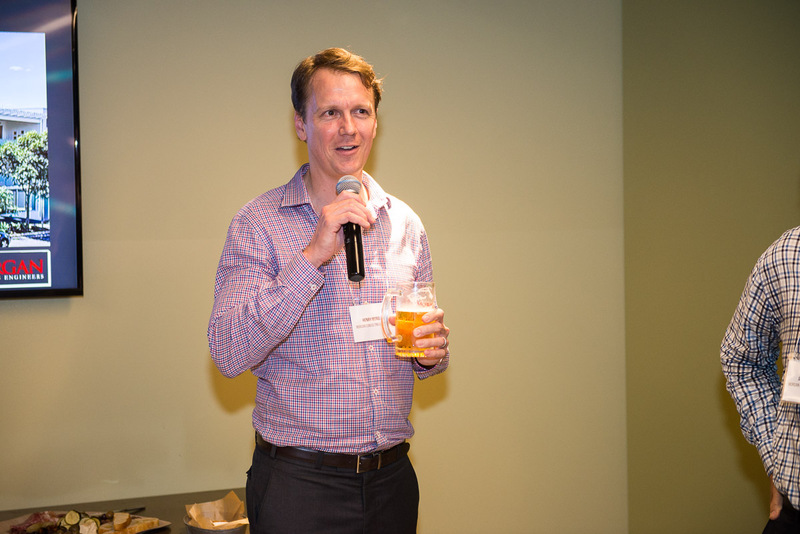 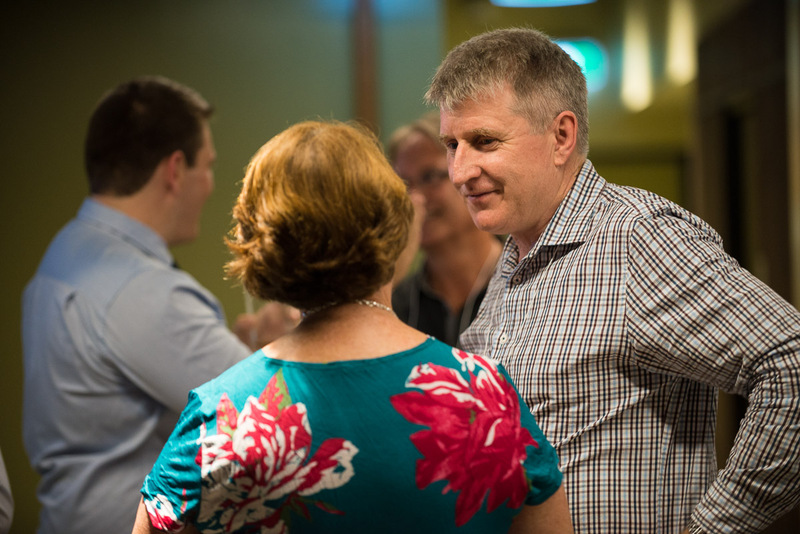 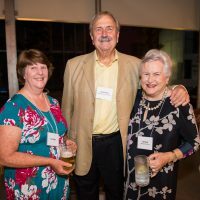 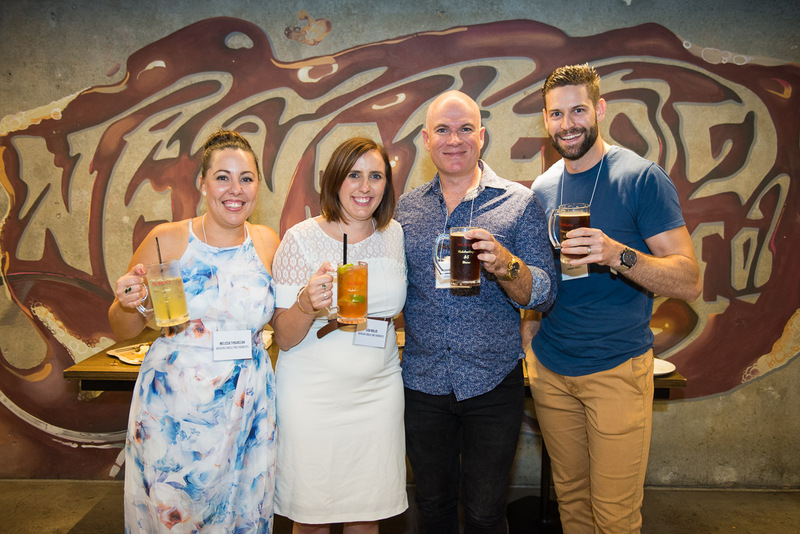 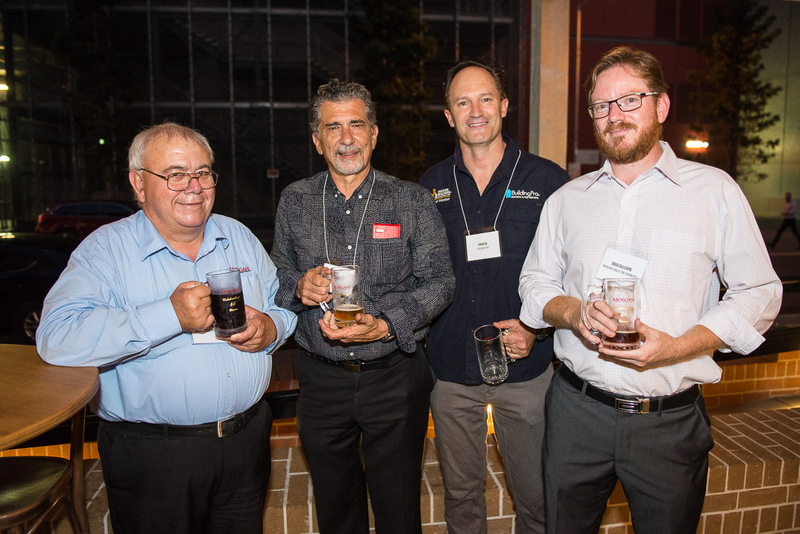 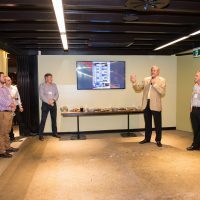 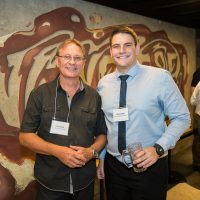 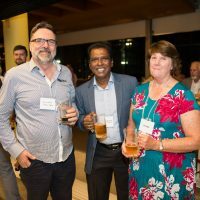 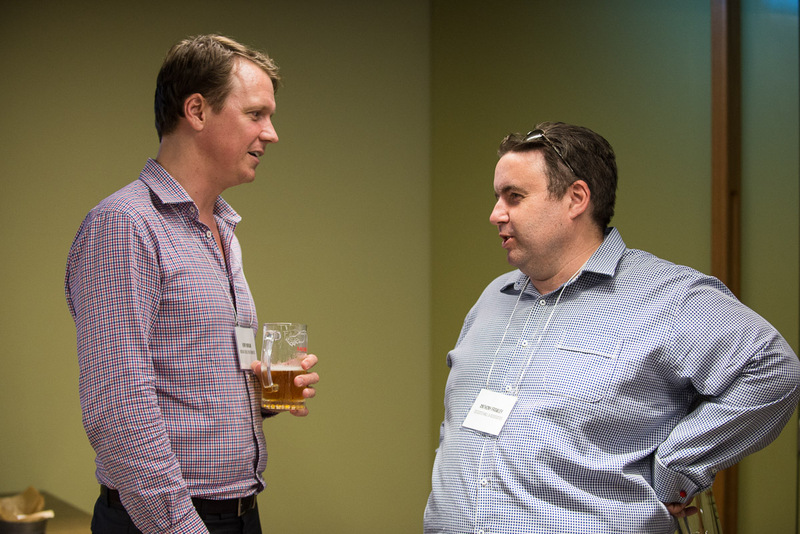 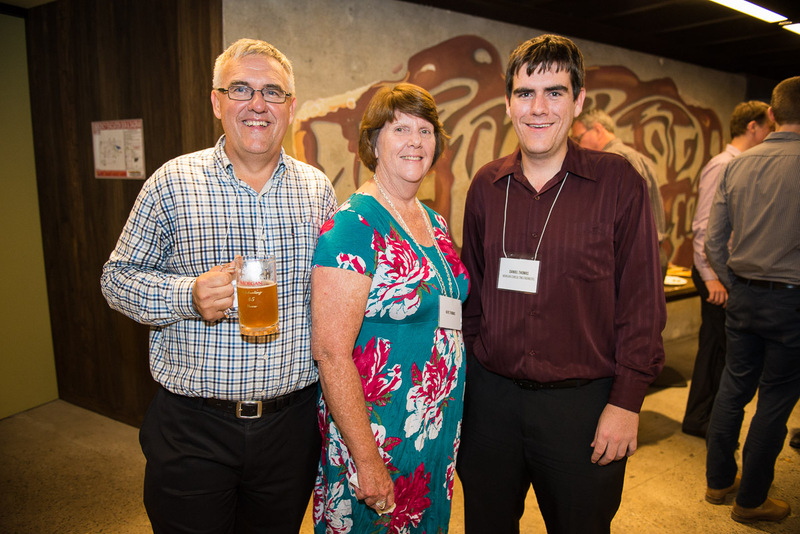 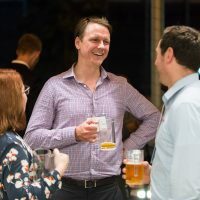 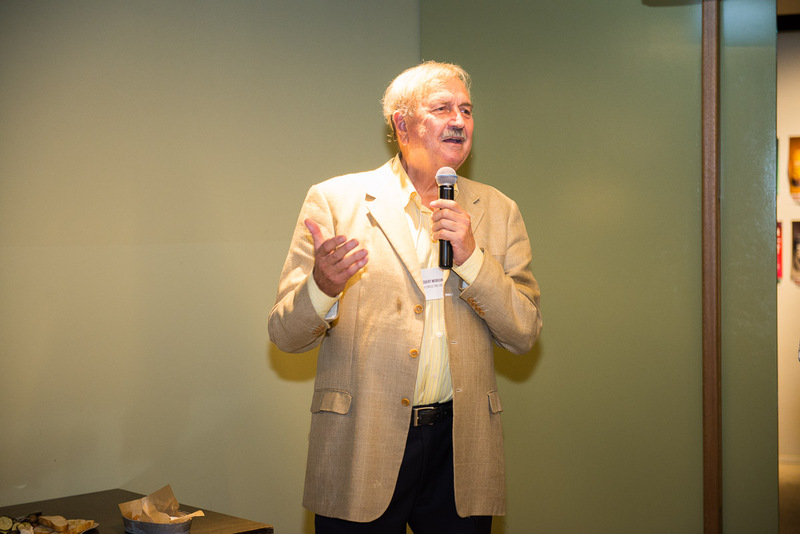 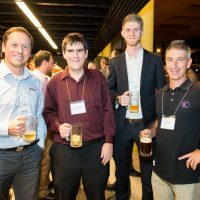 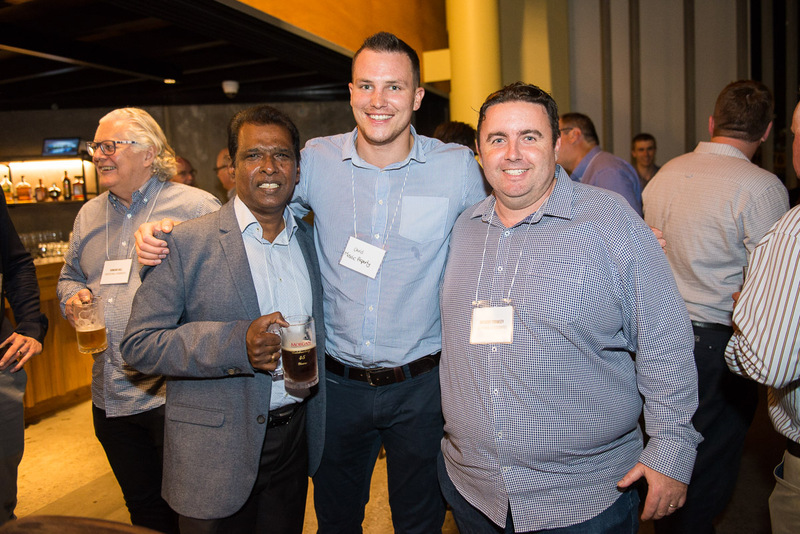 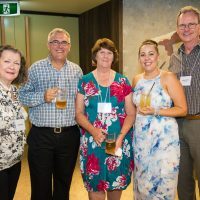 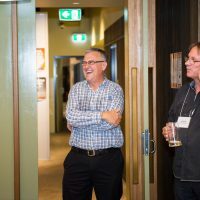 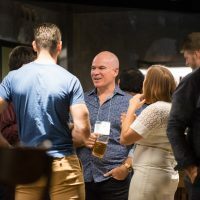 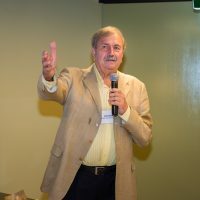 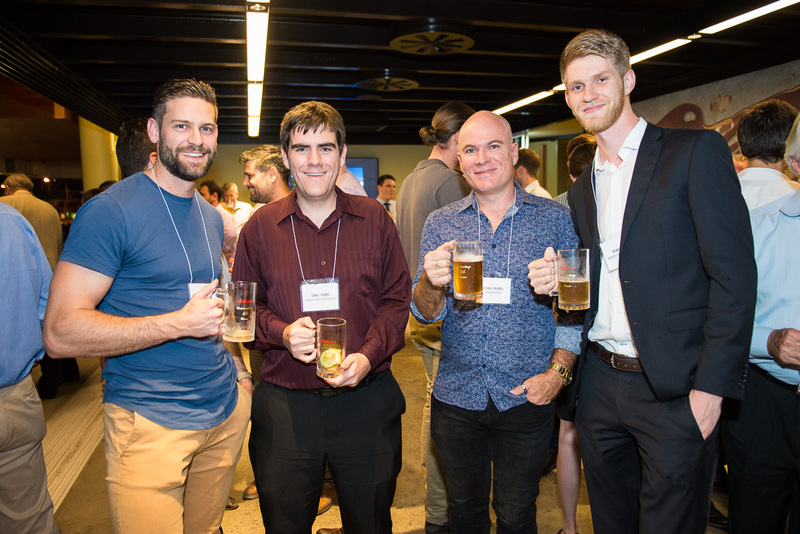 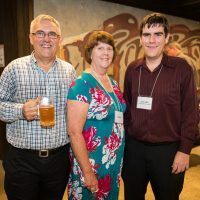 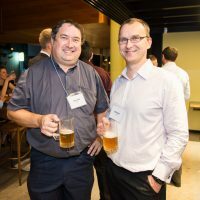 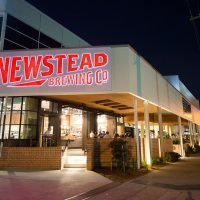 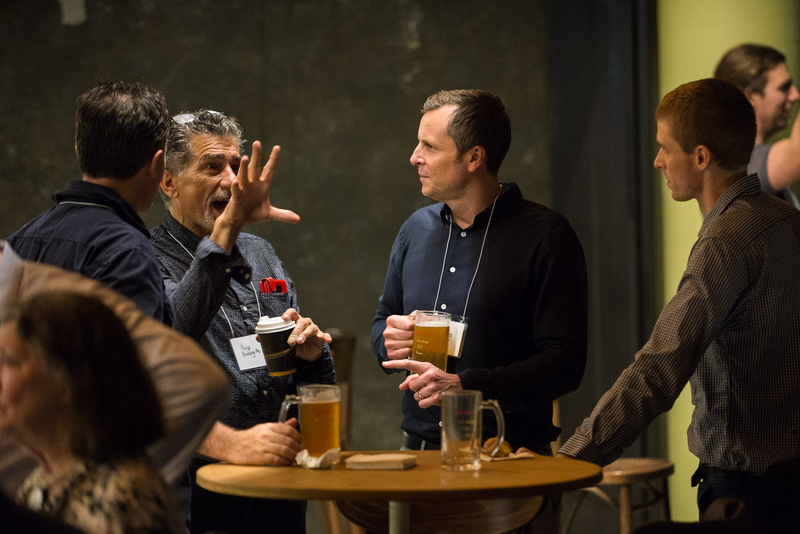 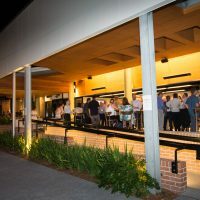 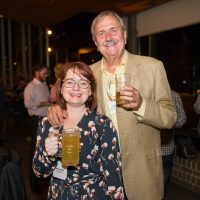 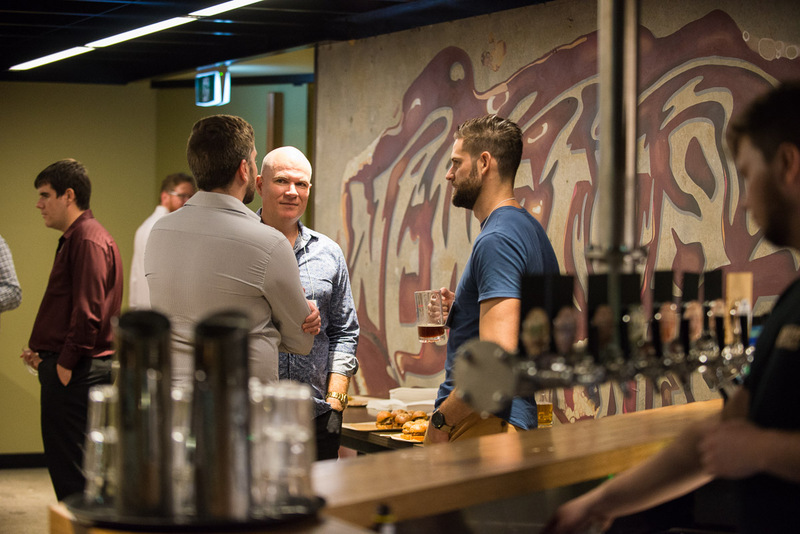 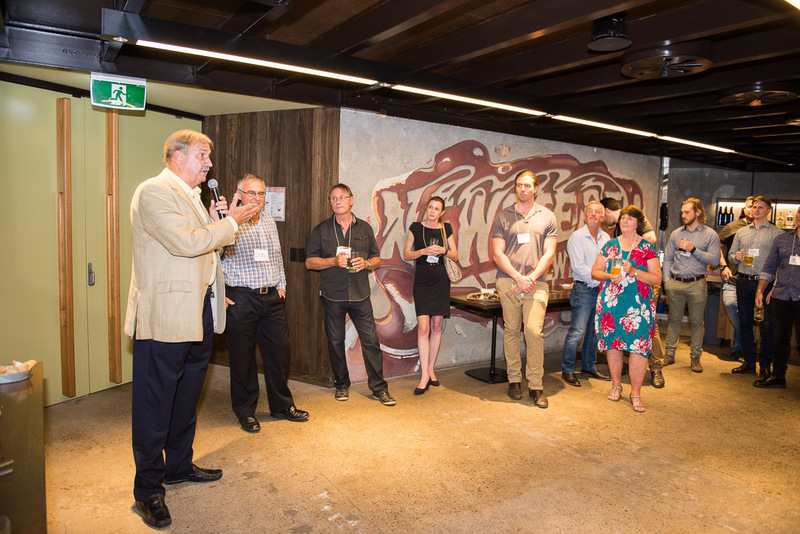 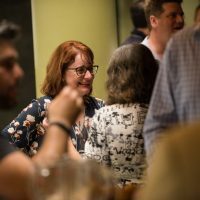 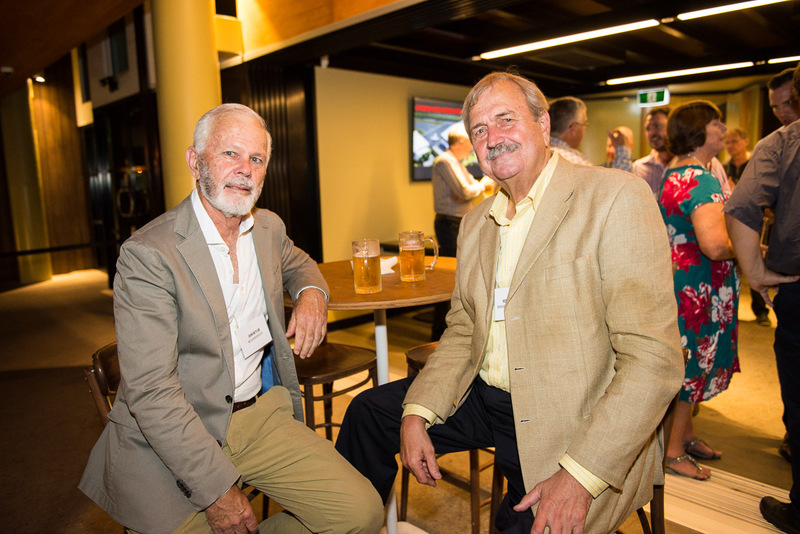 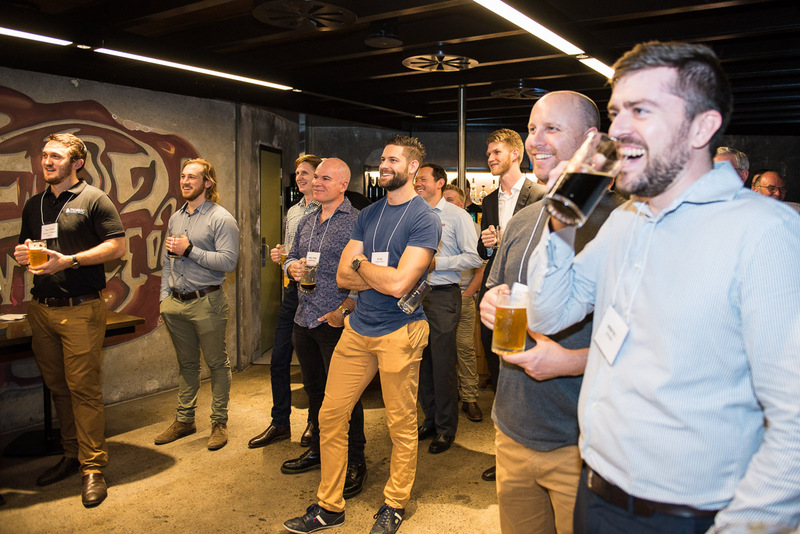 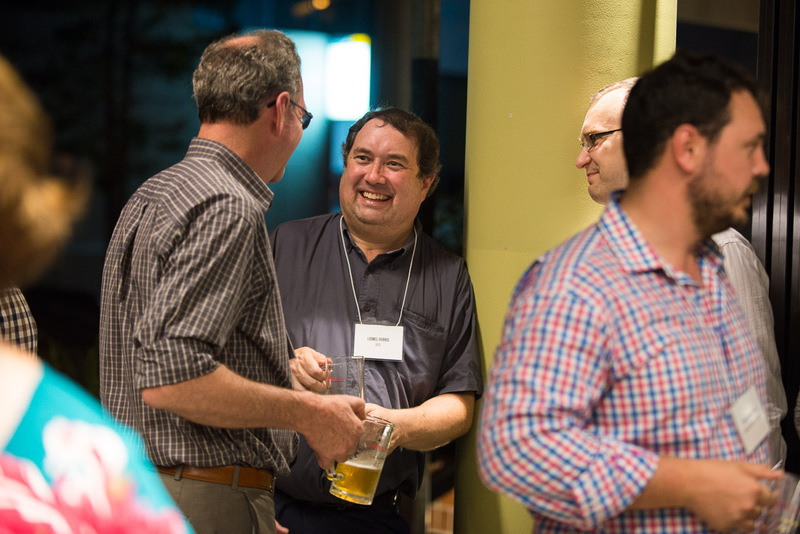 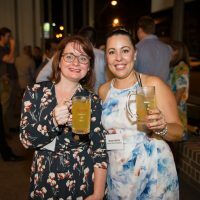 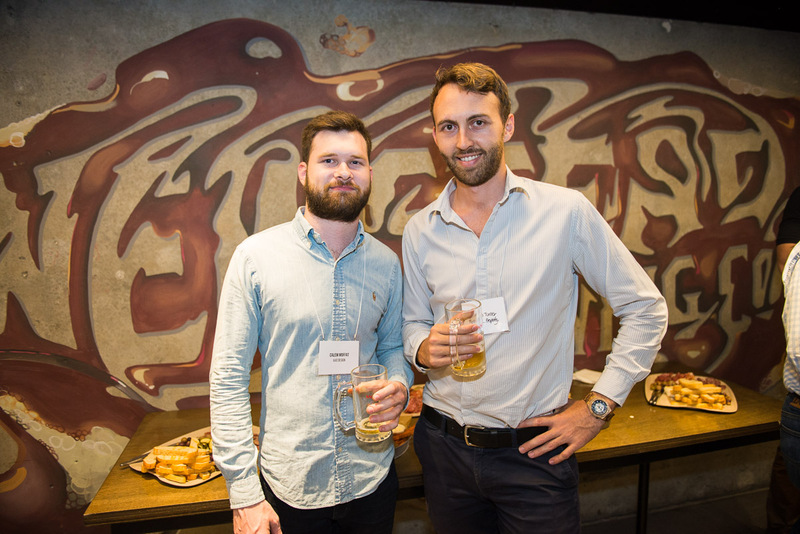 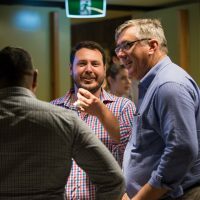 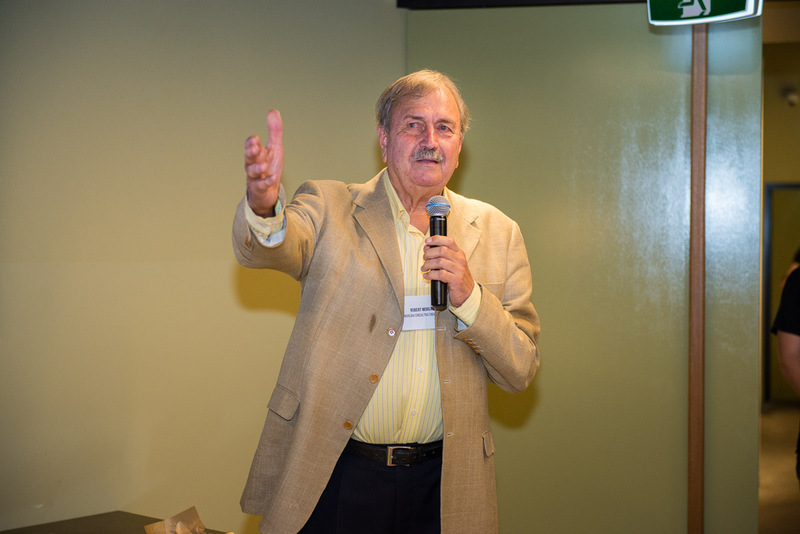 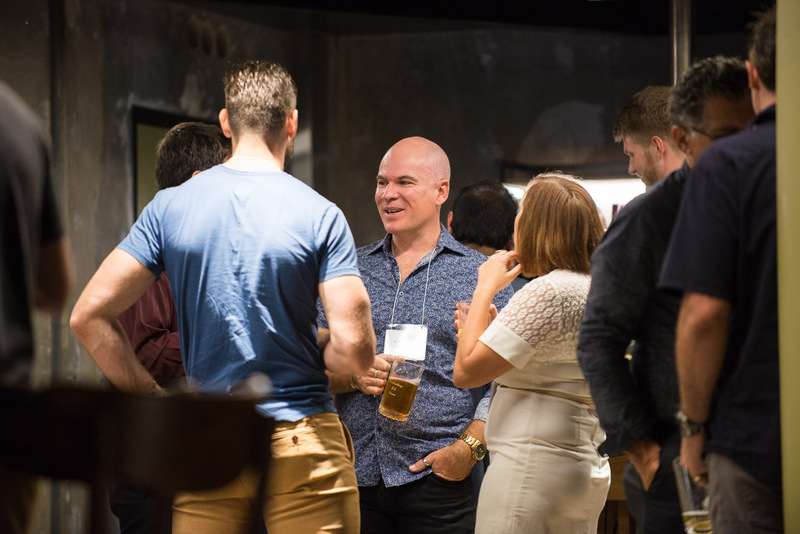 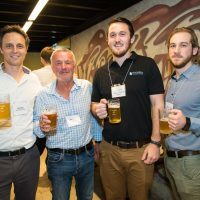 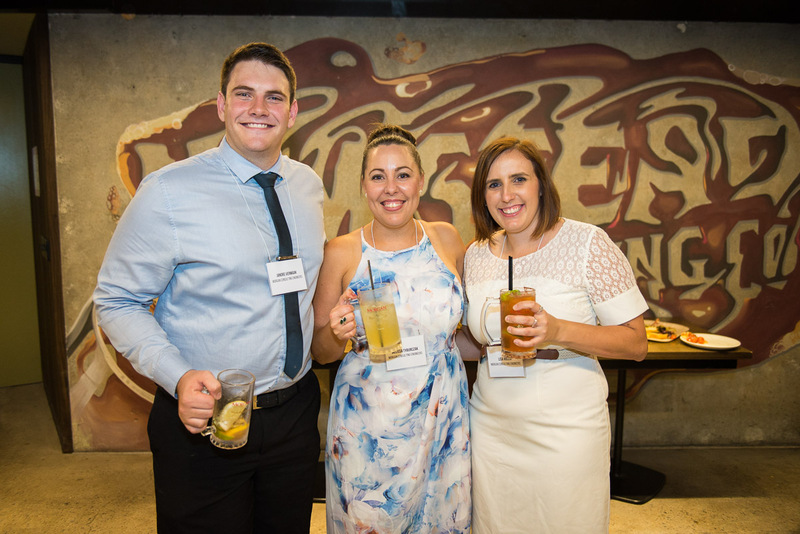 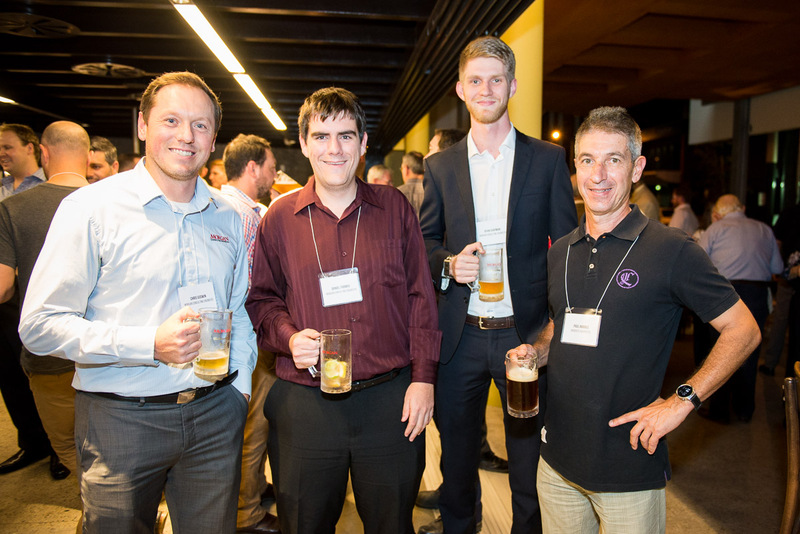 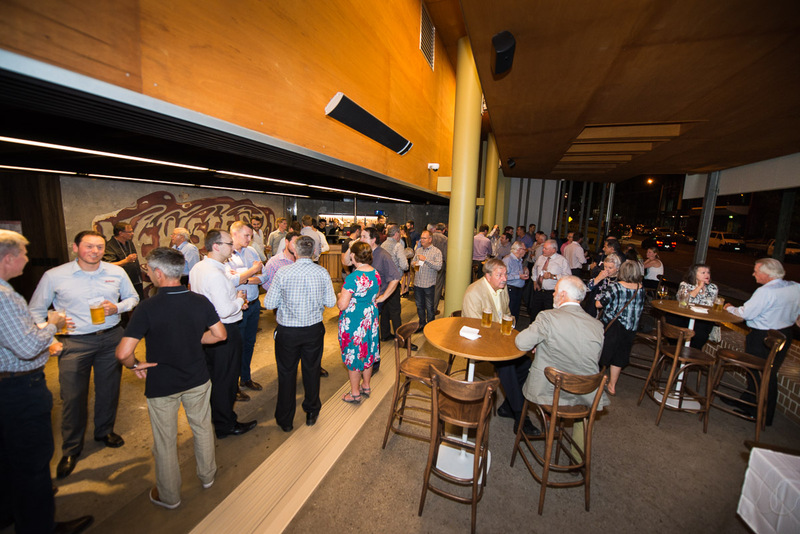 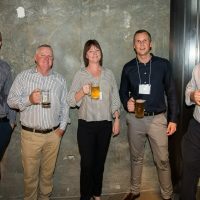 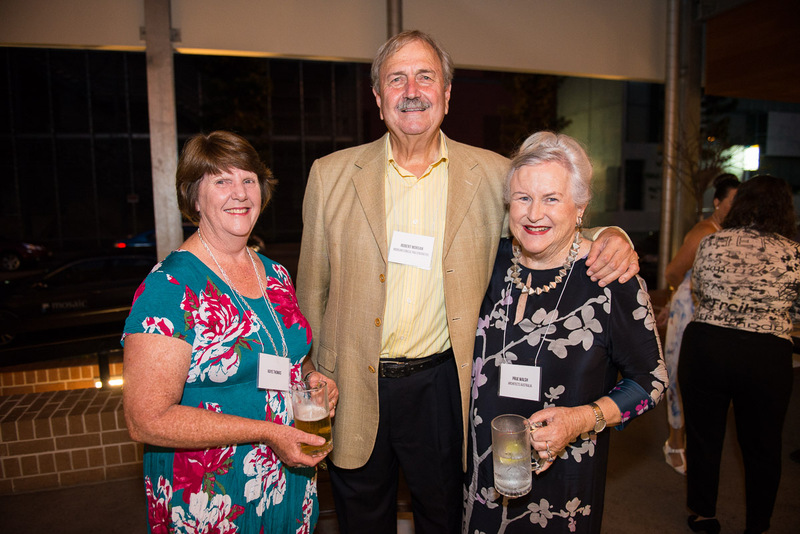 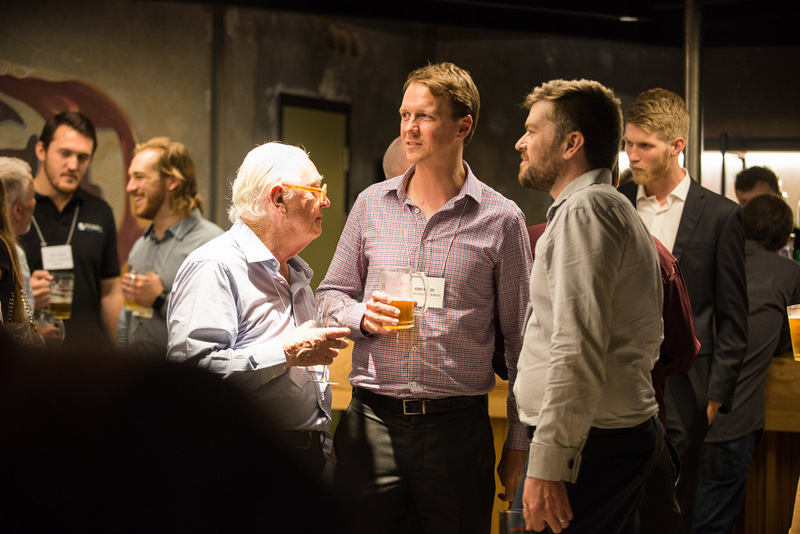 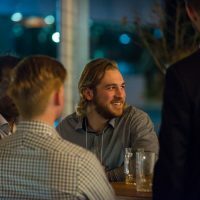 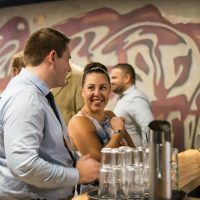 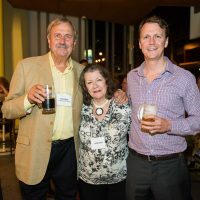 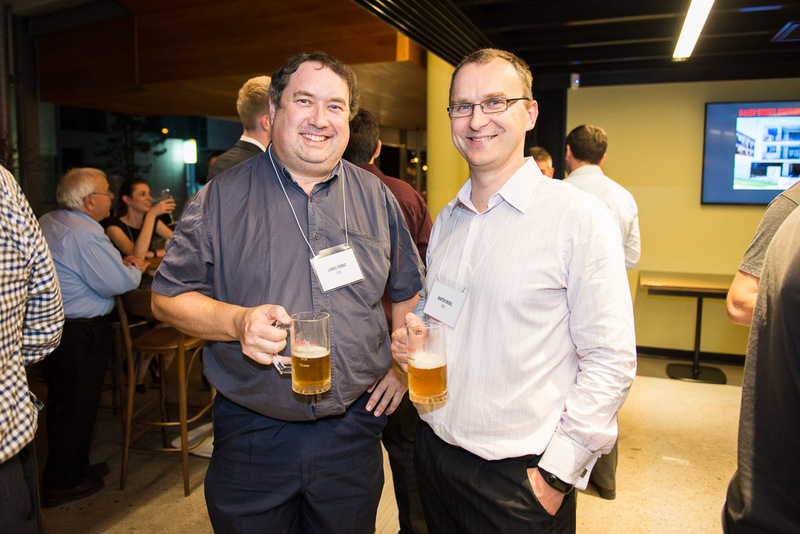 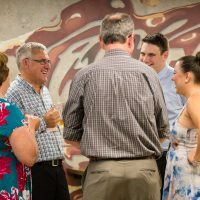 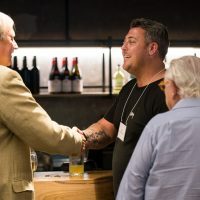 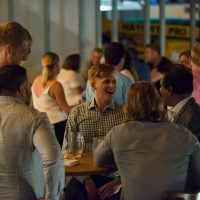 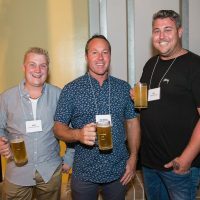 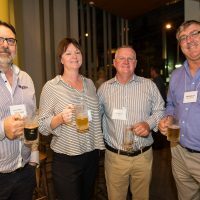 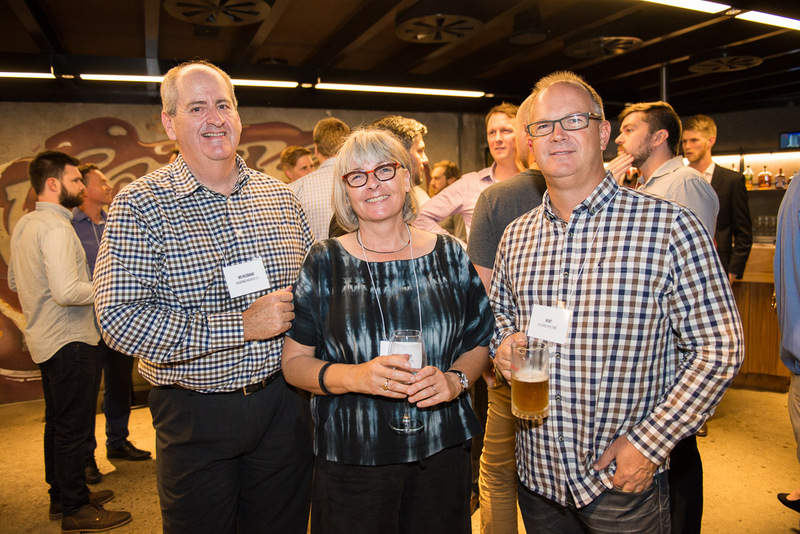 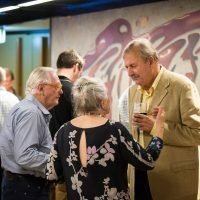 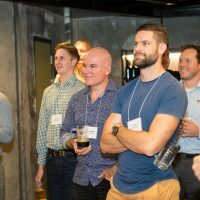 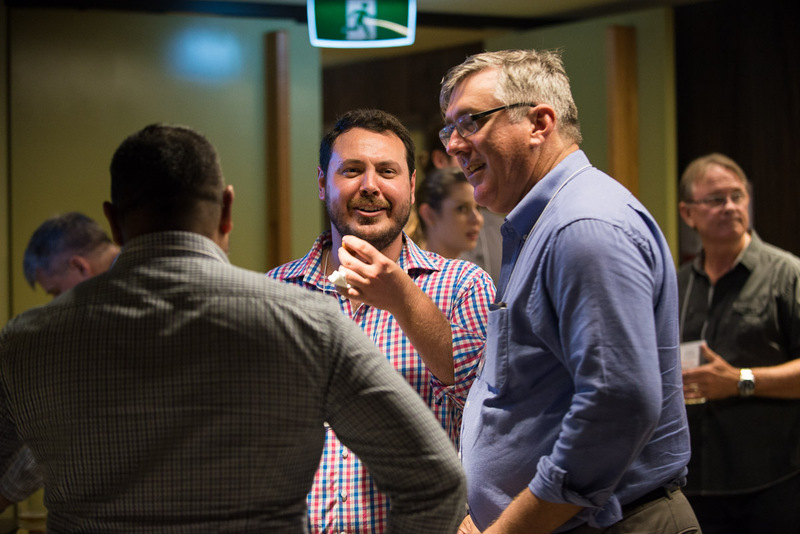 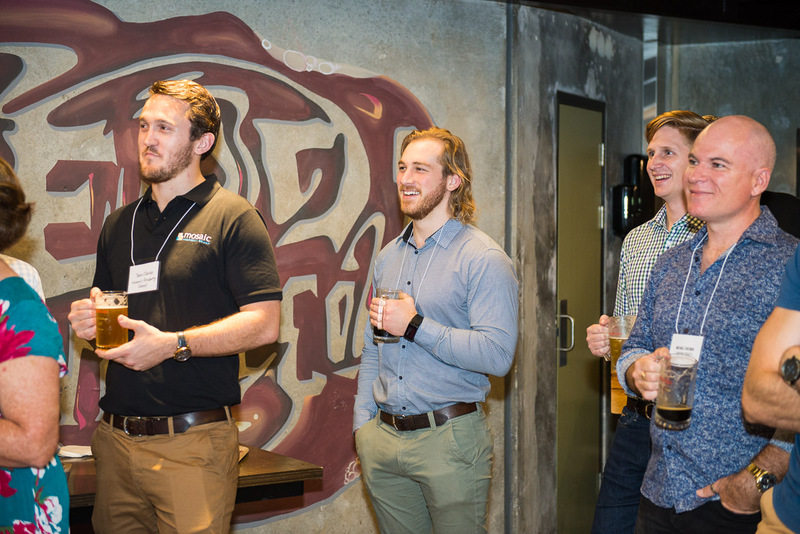 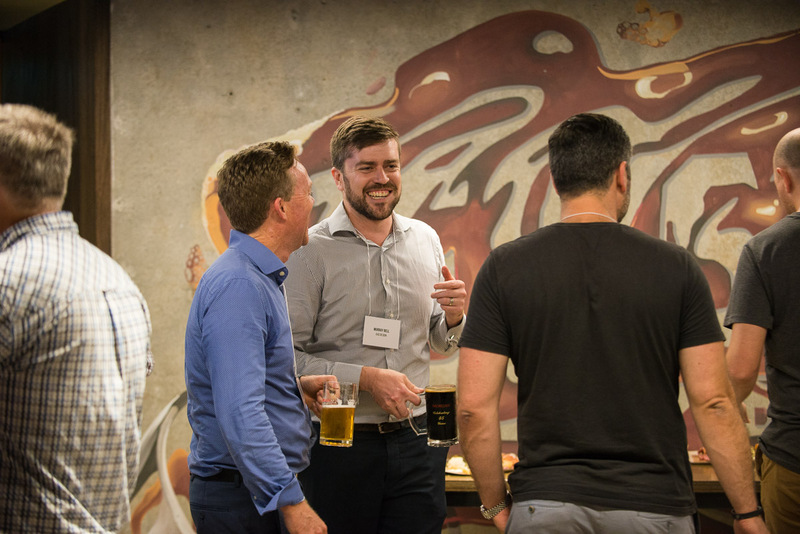 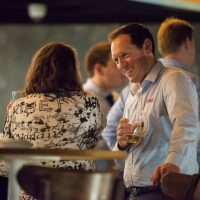 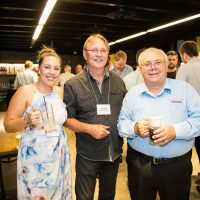 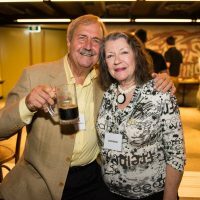 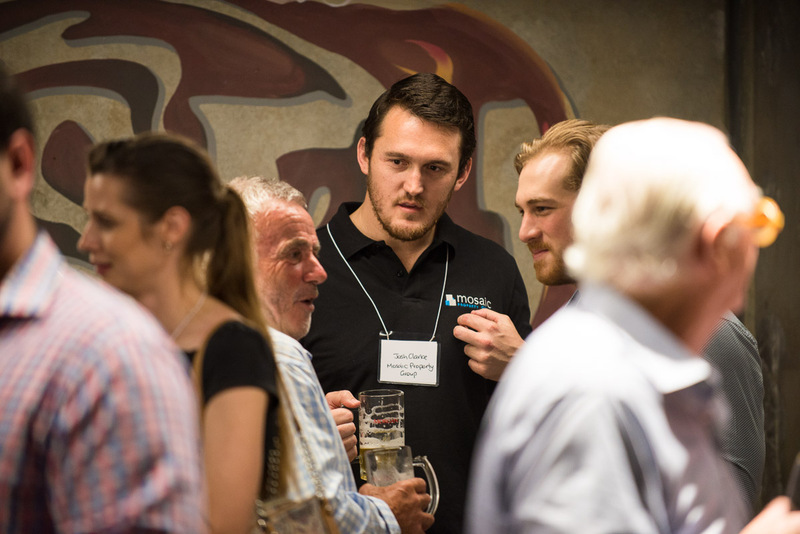 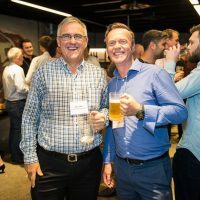 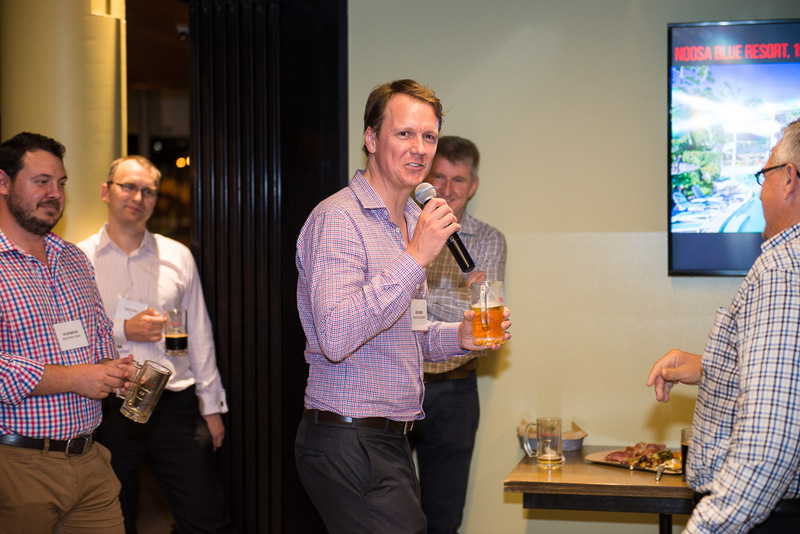 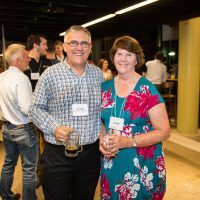 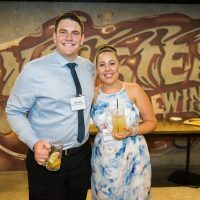 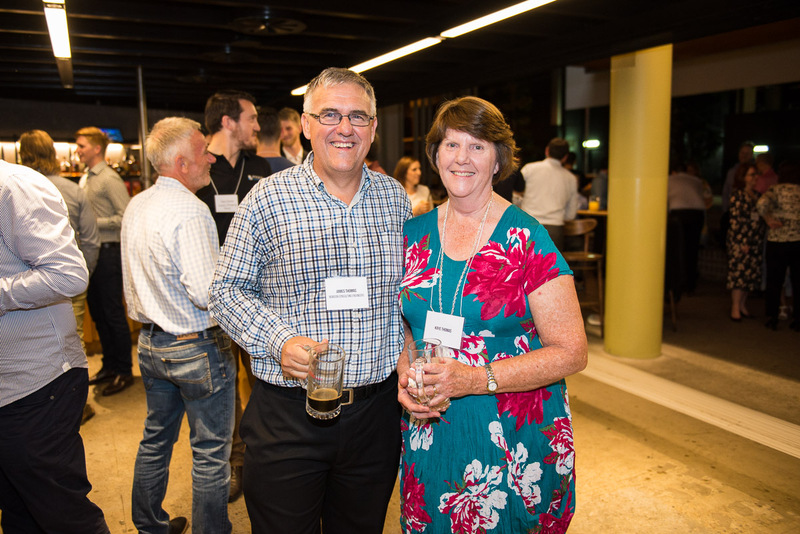 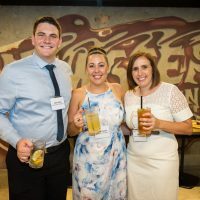 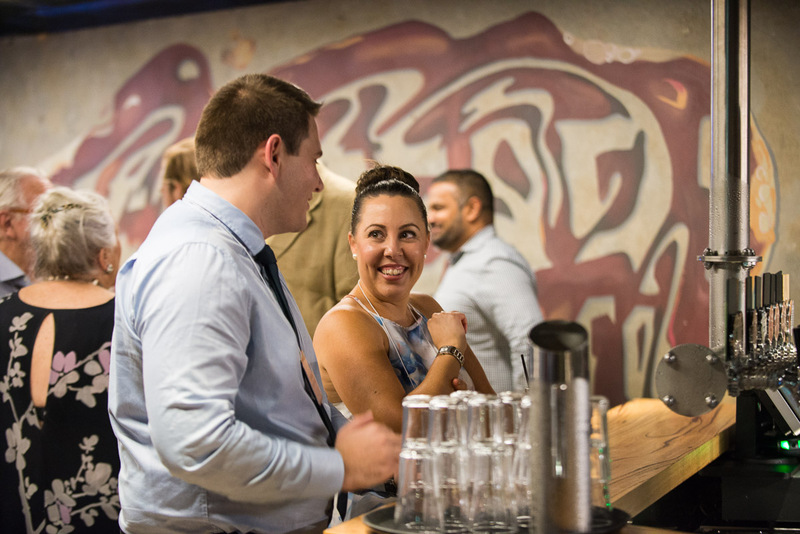 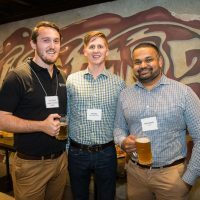 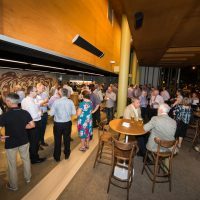 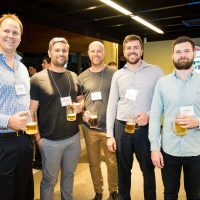 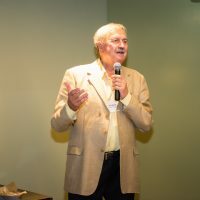 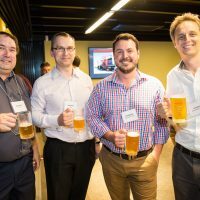 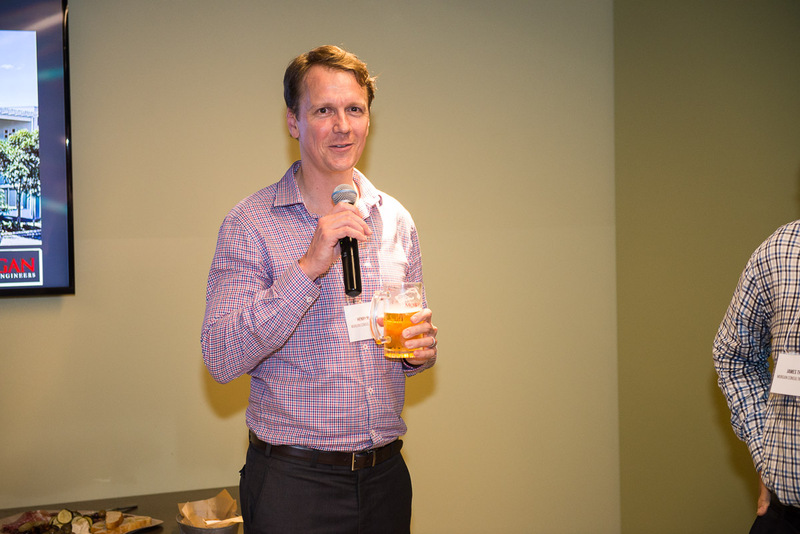 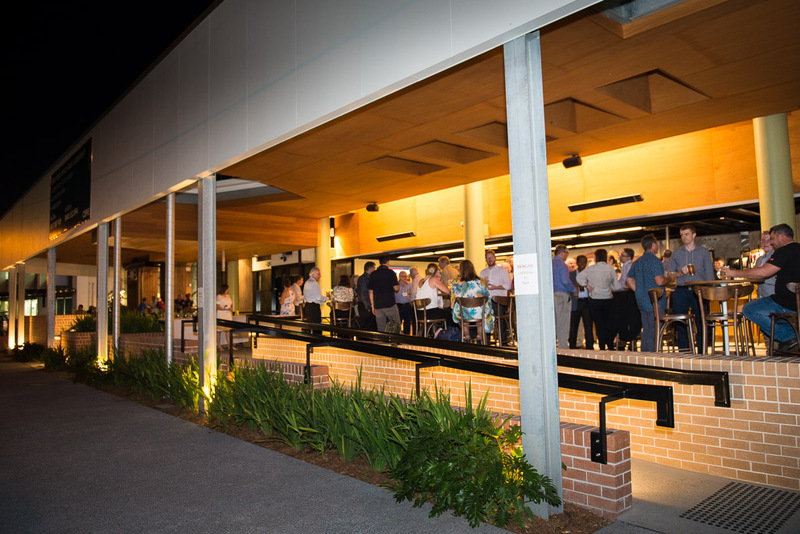 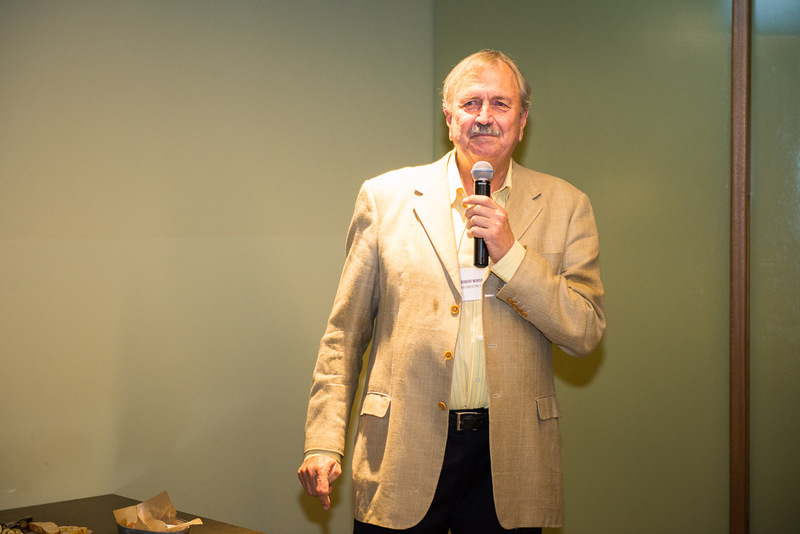 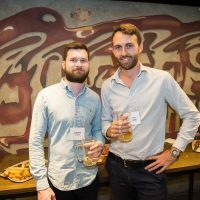 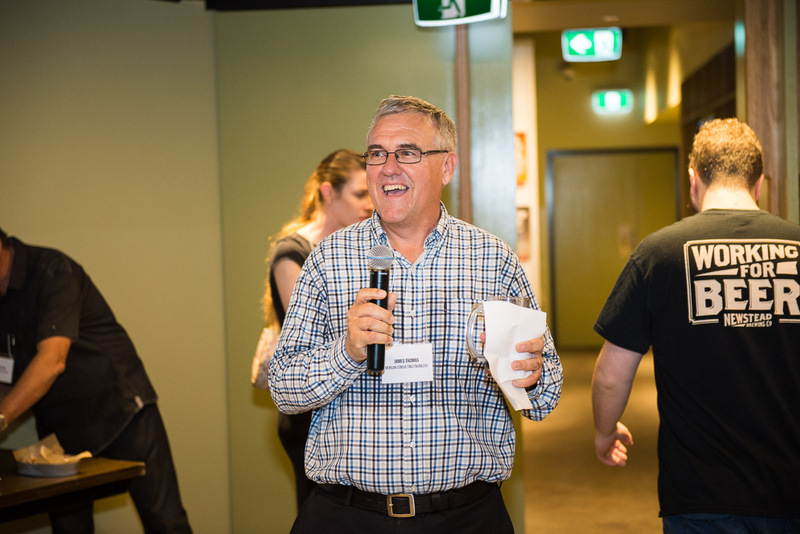 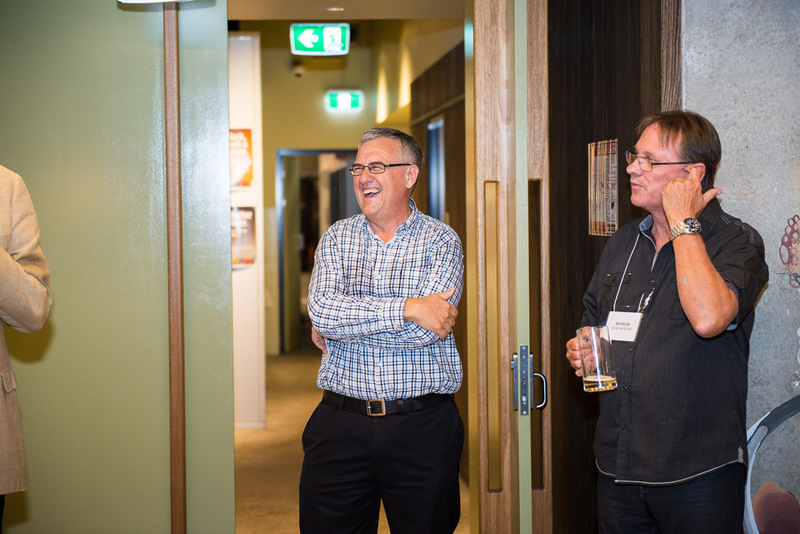 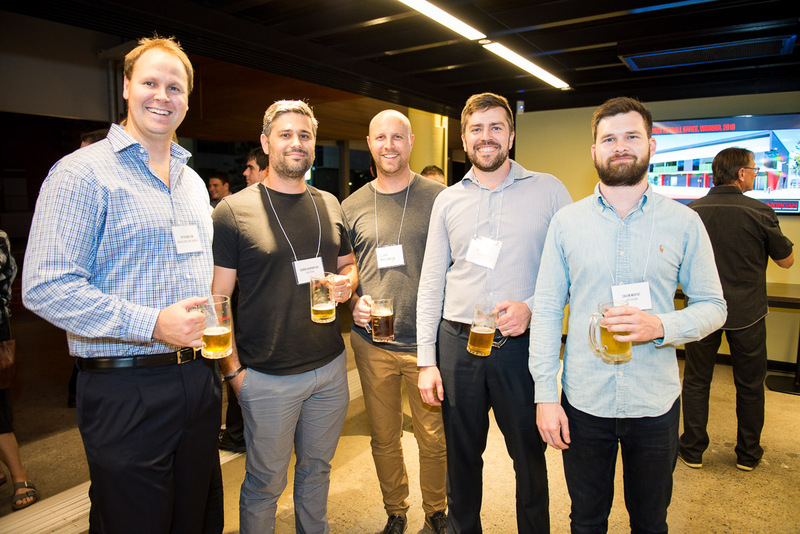 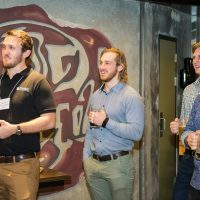 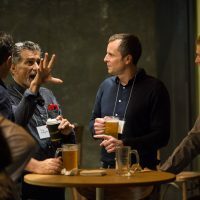 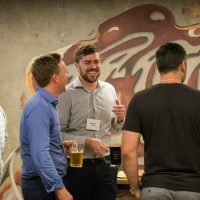 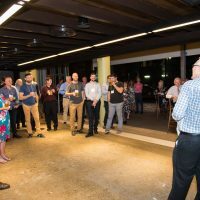 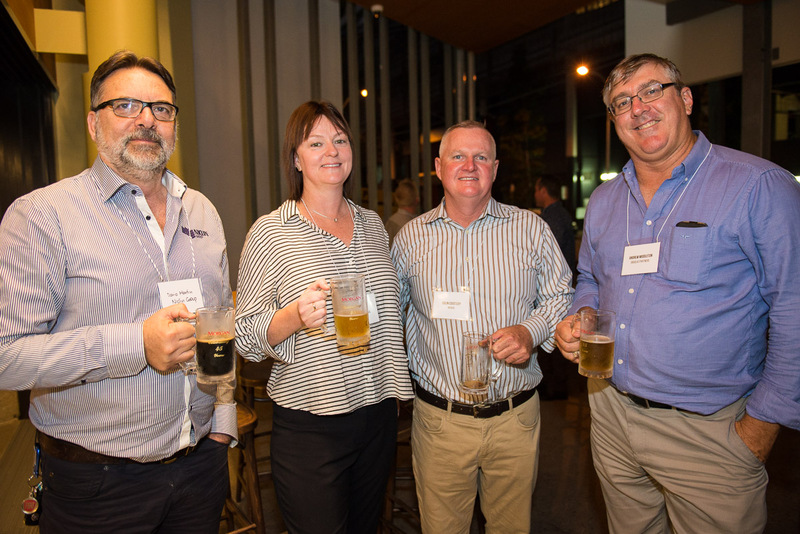 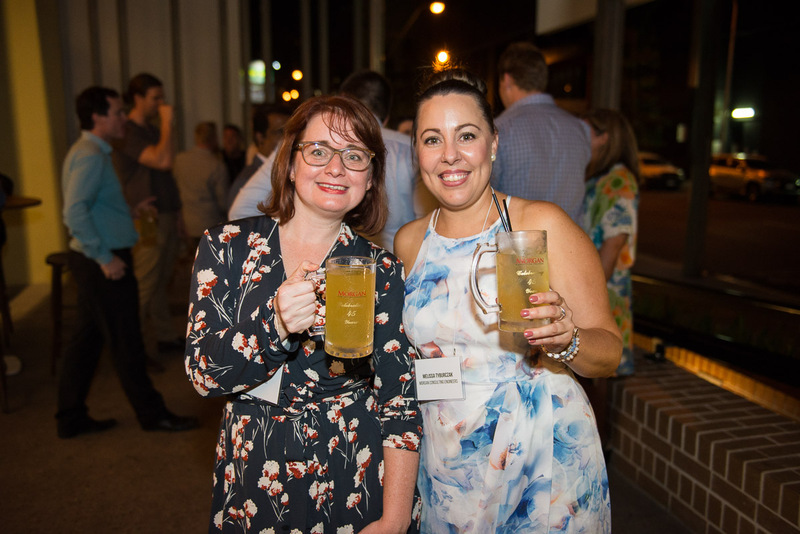 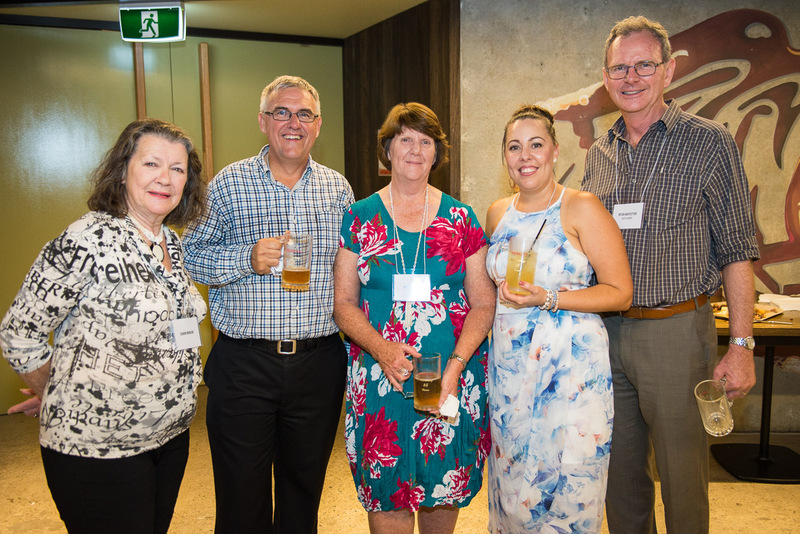 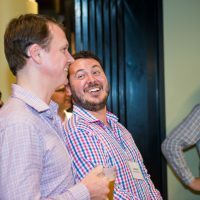 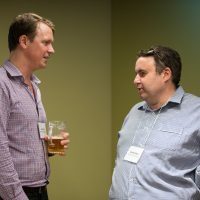 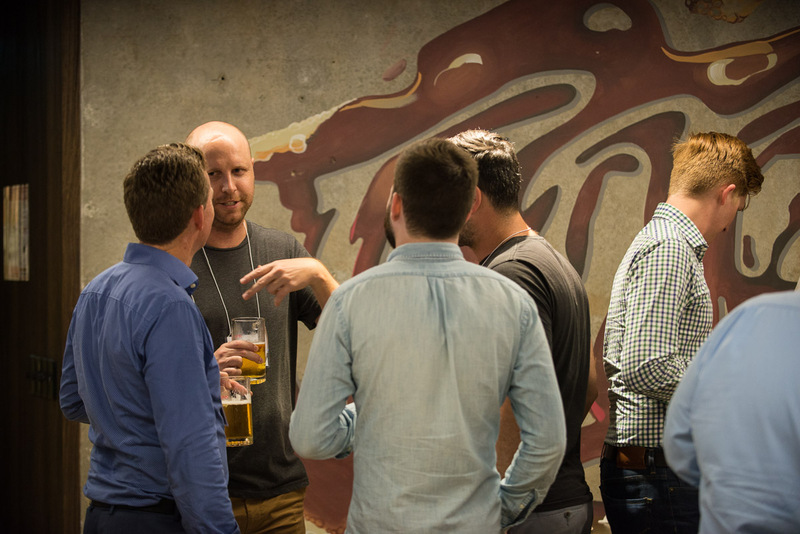 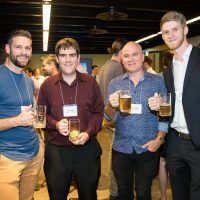 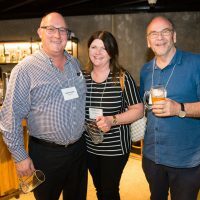 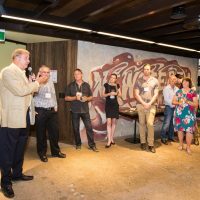 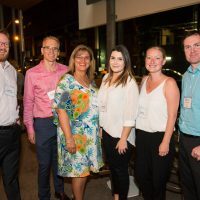 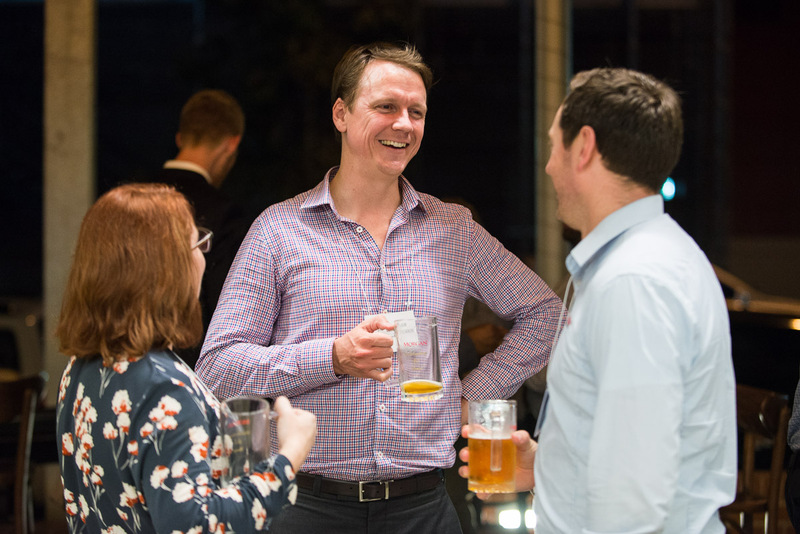 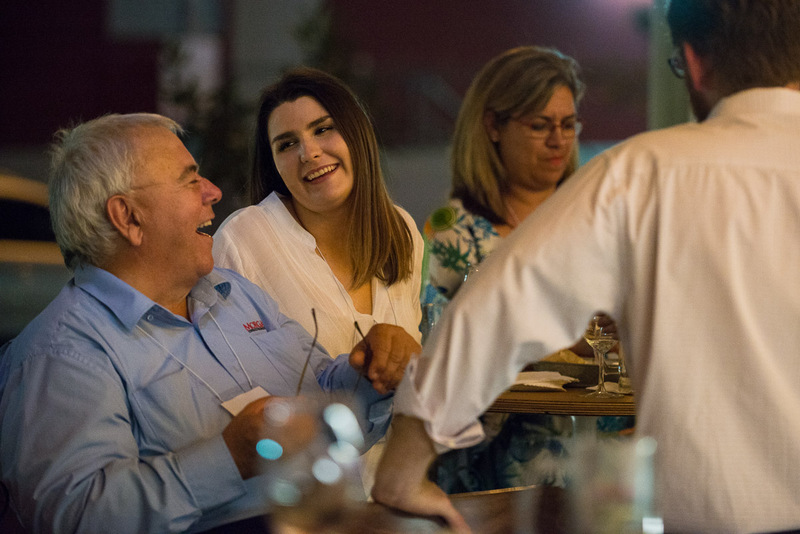 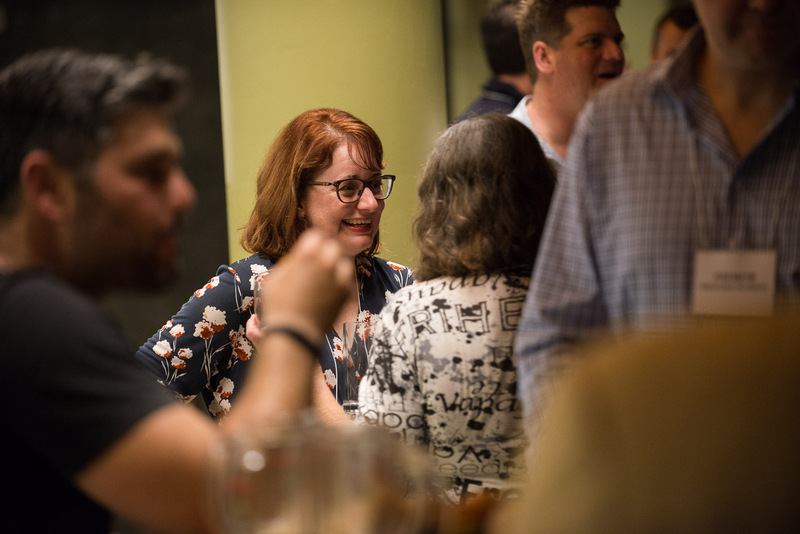 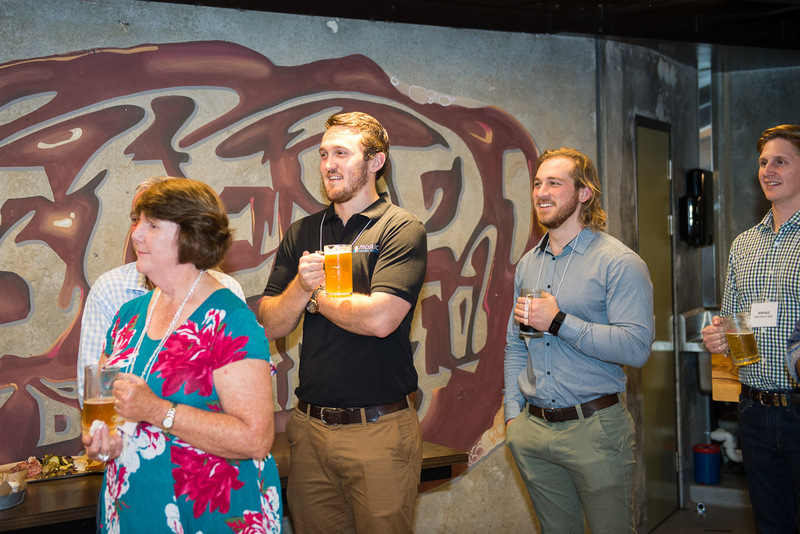 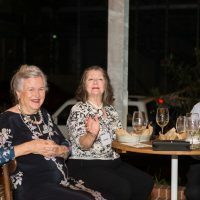 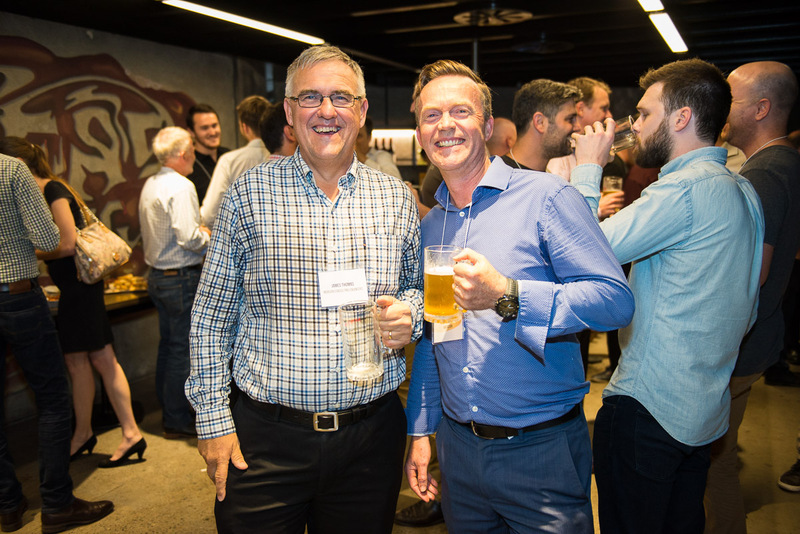 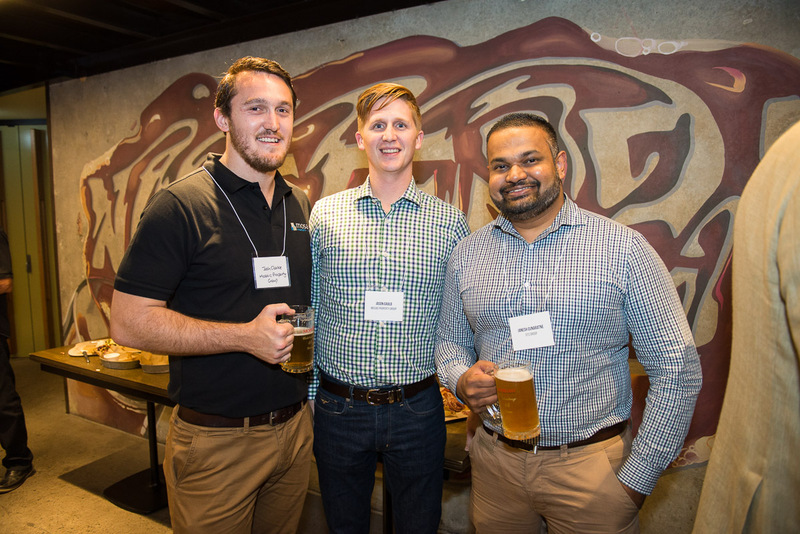 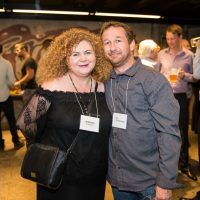 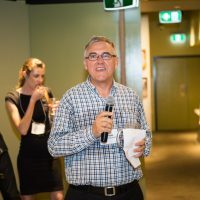 The night consisted of many steins of beer and great food provided by Newstead Brewing Co.
James Thomas (company director) was the first kick off the speeches highlighting the successes of MCE and the many projects that have been completed over the years. 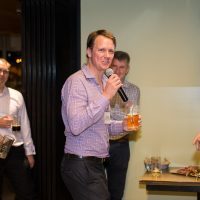 Robert Morgan (company founder & director) was the next to give a fantastic speech highlighting the company diversity and progression over the recent years. 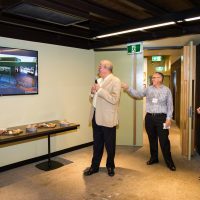 He also expressed his confidence in handing over the business to James Thomas and Henry Morgan. 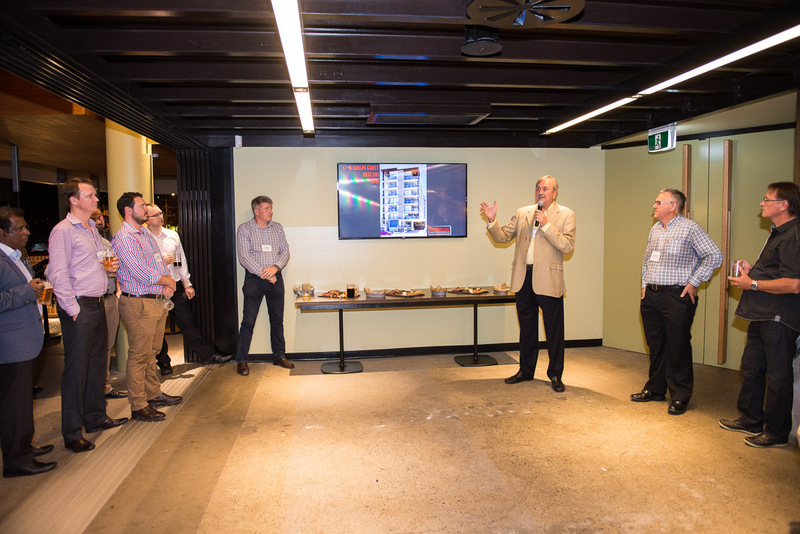 Henry Morgan (company director) wrapped up the speeches by thanking everyone for taking the time out of their busy schedules to help us celebrate this milestone in our company’s history. 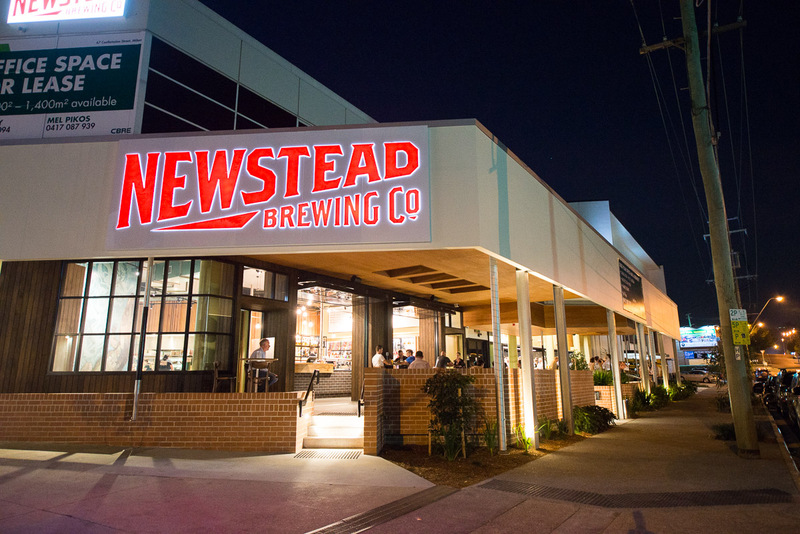 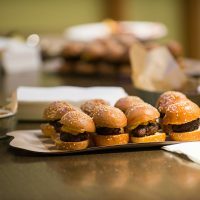 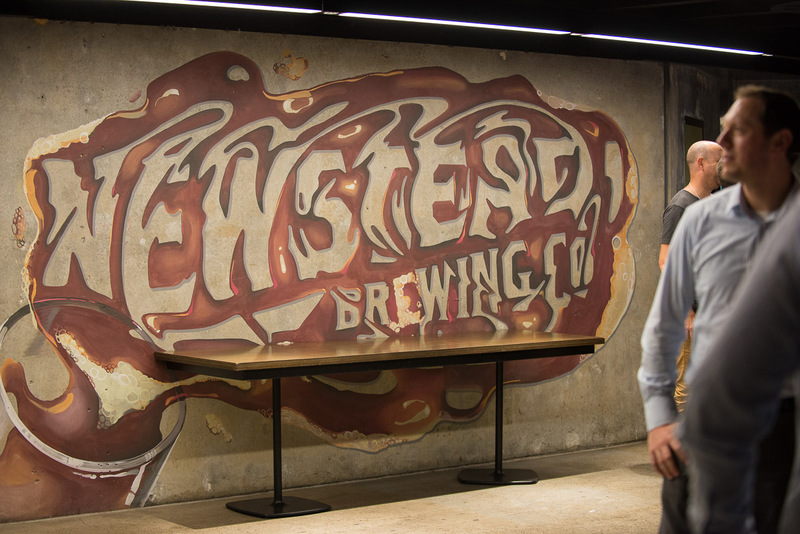 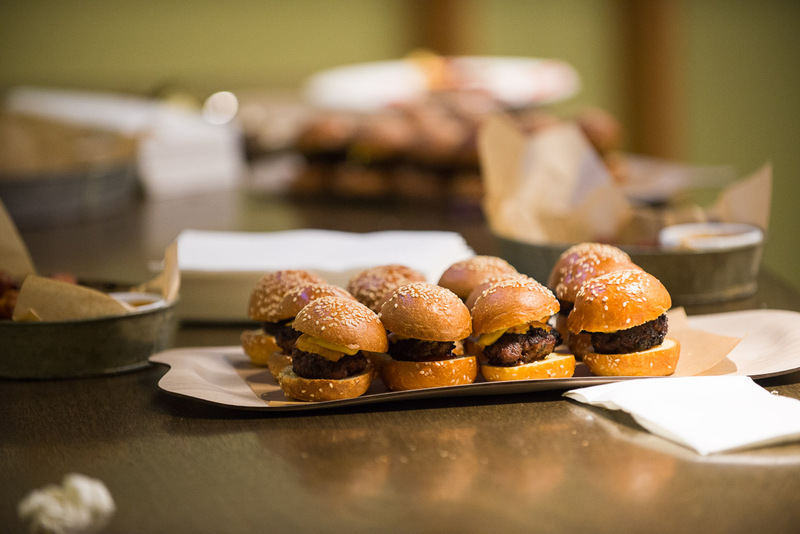 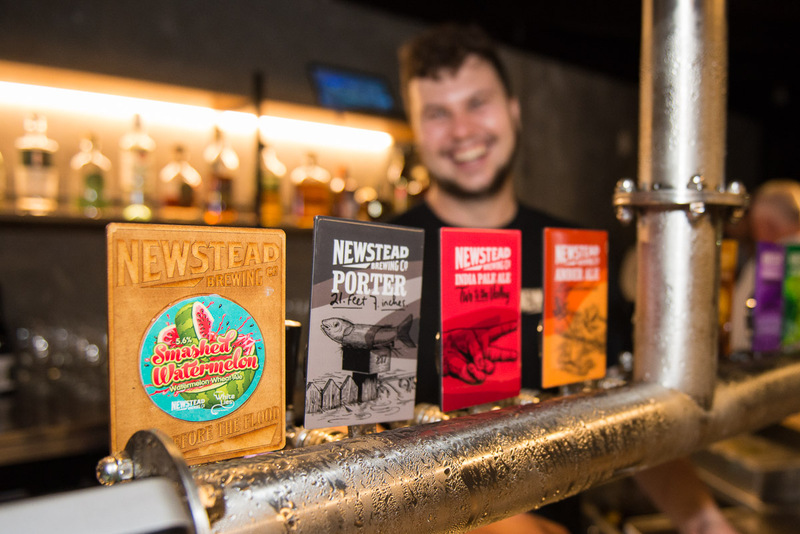 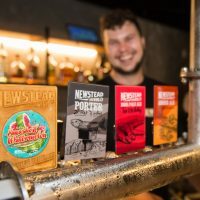 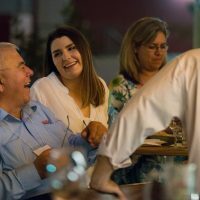 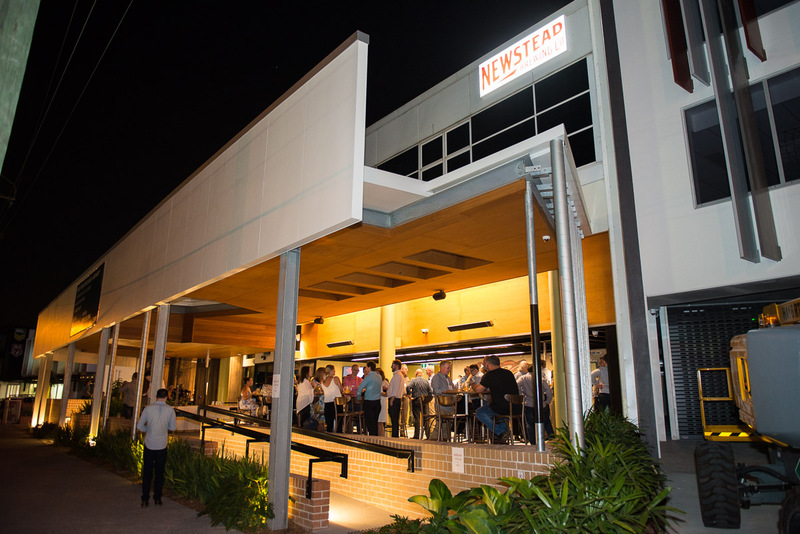 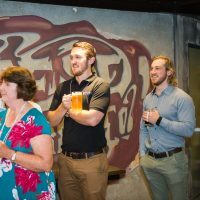 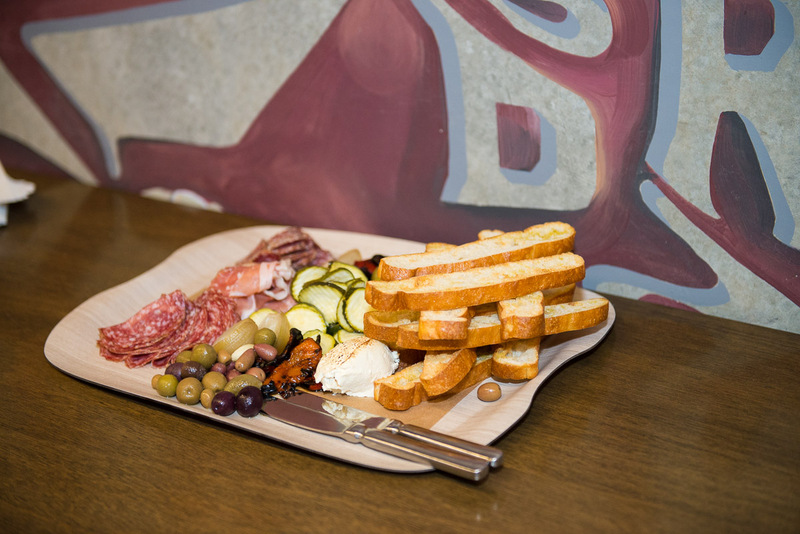 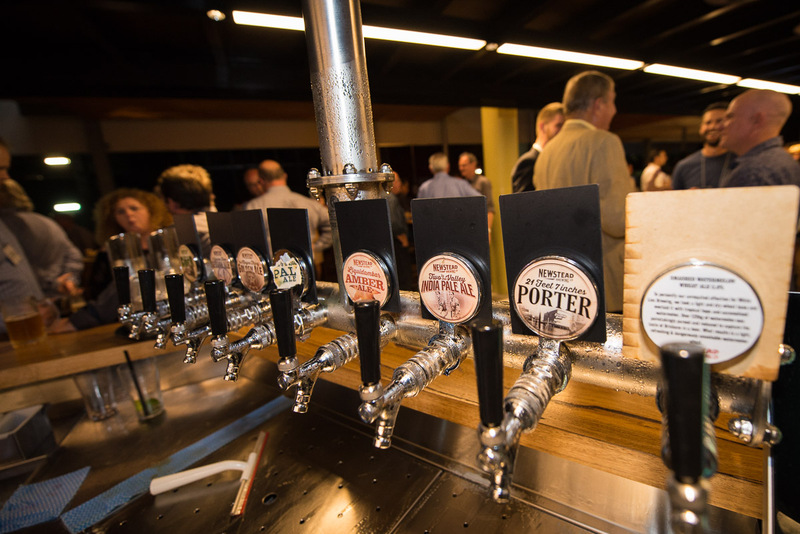 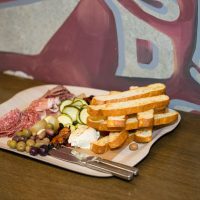 We would like to thank Newstead Brewing Co for putting on a great spread and for keeping the beer flowing. 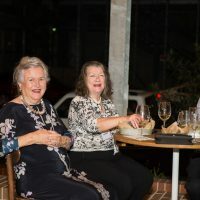 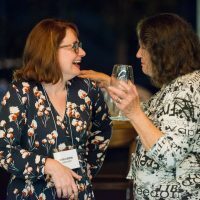 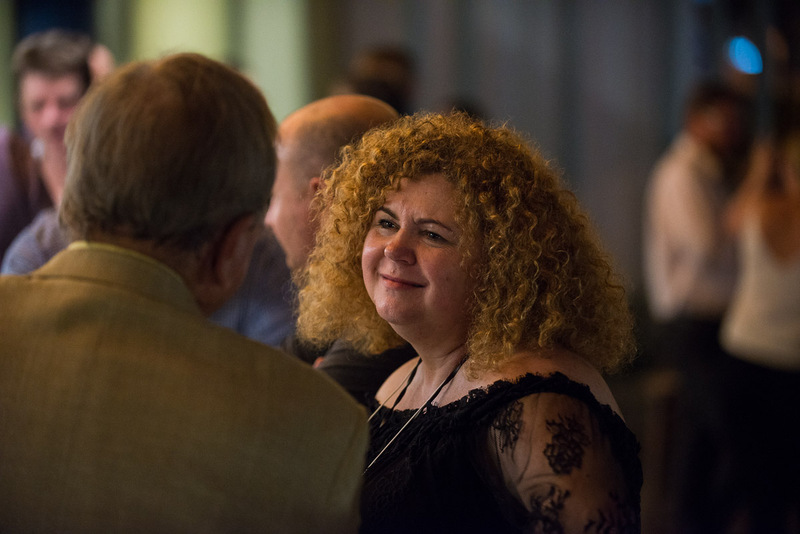 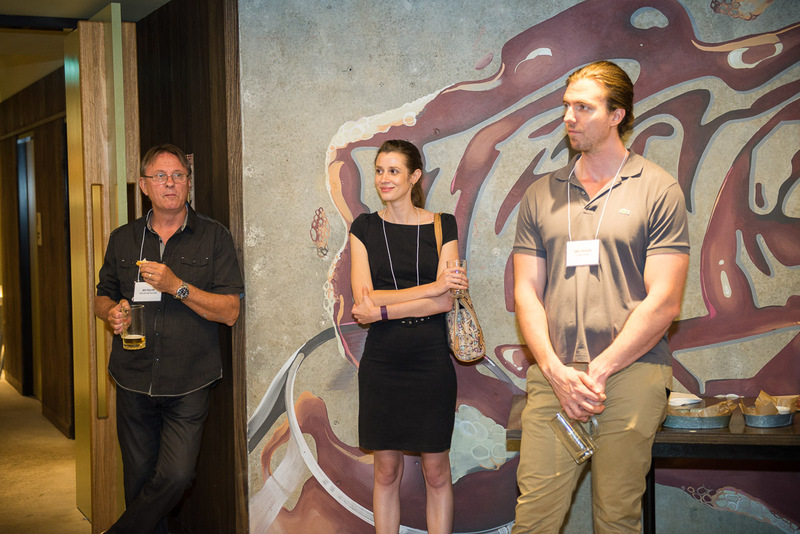 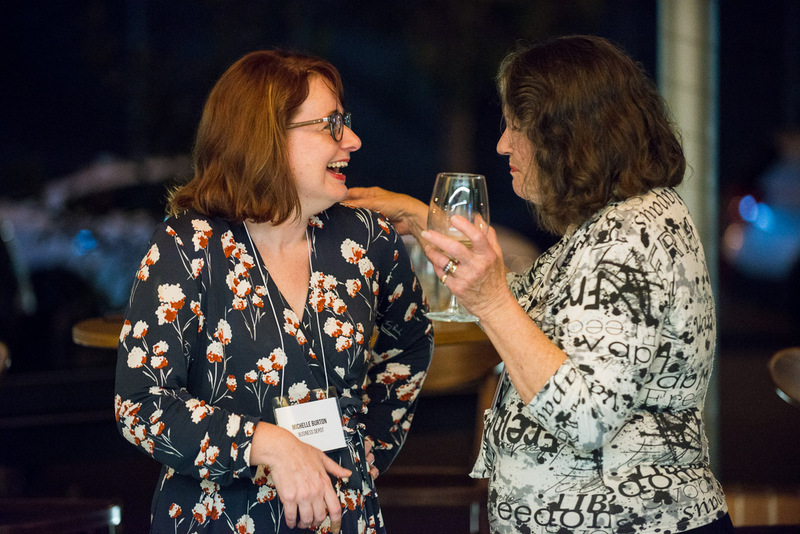 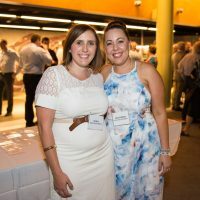 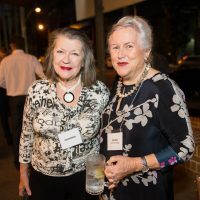 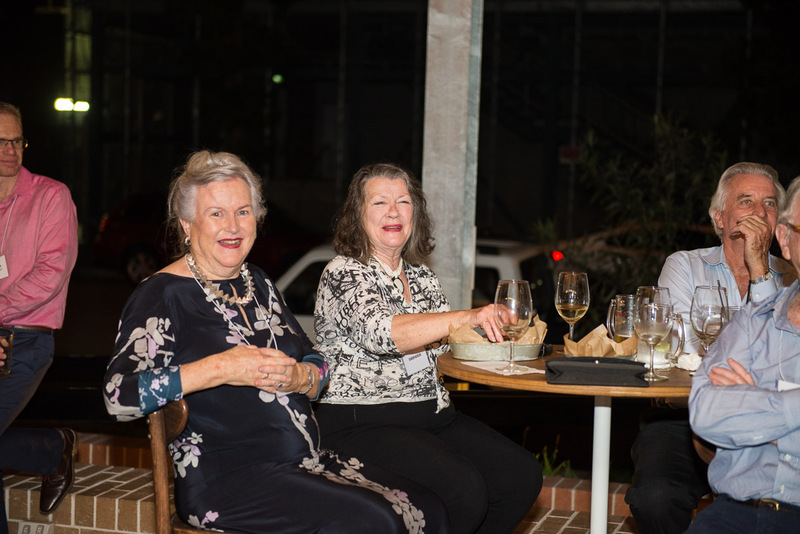 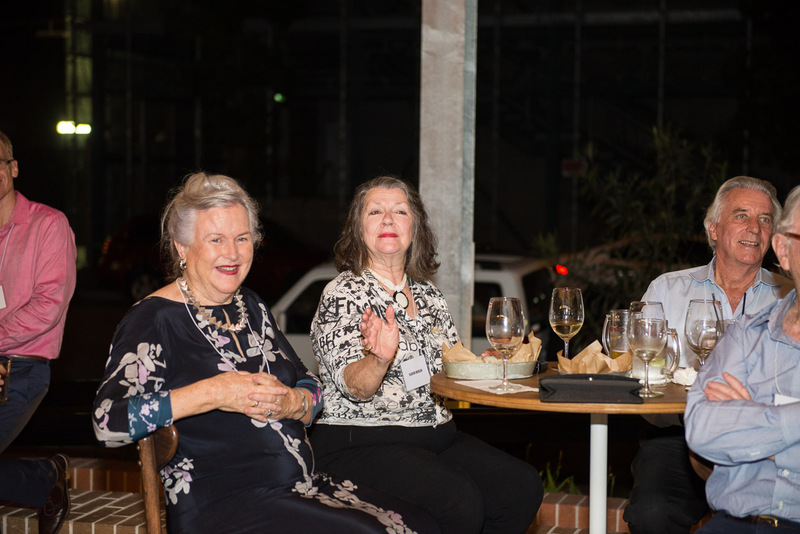 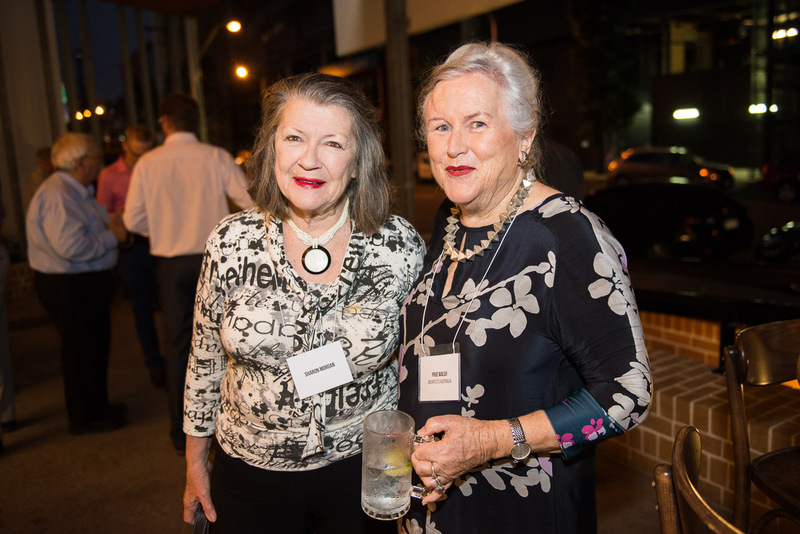 We would mostly like to thank all of our guests who made it to the function to help us celebrate. 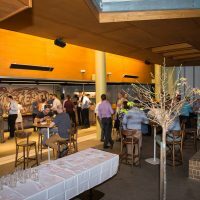 For those who were unable to attend, you where sorely missed and we hope you can make the next MCE function.